Achenbach, T. M. (1995). Developmental issues in assessment, taxonomy, and diagnosis of child and adolescent psychopathology. In D. Cicchetti & D. J. Cohen (Eds. ), Developmental psychopathology (pp. 57-80). New York, NY: John Wiley & Sons. Achenbach, T. M., & Edelbrock, C. (1983). Manual for the child behavior checklist. Burlington: Department of Psychiatry, University of Vermont. Acierno, R., Ruggiero, K. J., Kilpatrick, D. G., Resnick, H. S., & Galea, S. (2006). Risk and protective factors for psychopathology among older versus younger adults after the 2004 Florida hurricane. American Journal of Geriatric Psychiatry, 14(12), 1051-1059. doi: http://dx.doi.org/10.1097/01.JGP.0000221327.97904.b0. Alarcón, R. D. (2009). Culture, cultural factors and psychiatric diagnosis: review and projections. World Psychiatry, 8 (3), 131-139. Alberto, P. A., & Troutman, A. C. (2006). Applied behavior analysis for teachers (7th Ed.) Upper Saddle River, NJ: Merrill/Prentice Hall. Aman, M. G., Bukstein. O. G., Gadow, K. D., Arnold, L. E., Molina, B. S. G., McBamara, N. K.,…Fandlin, R. L. (2014). What Does Risperidone Add to Parent Training and Stimulant for Severe Aggression in Child Attention-Deficit/Hyperactivity Disorder? Journal of the American Academy of Child and Adolescent Psychiatry, 53(1), 47–60.doi: http://dx.doi.org/10.1016/j.jaac.2013.09.022. Aman, M. G., McDougle, C. J., Scahill, L., Handen, B., Arnold. L. E., Johnson, C., … Wagner, A. (2009). Medication and parent straining in children with pervasive developmental disorders and serious behavior problems: Results from randomized clinical trial. Journal of the American Academy of Child and Adolescent Psychiatry, 48(12), 1143-1154. doi:10.1097/CHI.0b013e3181bfd669. American Academy of Child and Adolescent Psychiatry (2004). Practice parameter for the assessment and treatment of children and adolescents with enuresis (AACAP Official Action). Journal of the American Academy of Child and Adolescent Psychiatry, 43(12), 1540-1550. Author. DOI: 10.1097/01.chi.0000142196.41215.cc. American Academic of Pediatrics (2011). ADHD: Clinical Practice Guideline for the Diagnosis, Evaluation, and Treatment of Attention-Deﬁcit/ Hyperactivity Disorder in Children and Adolescents. Pediatrics, 128(5), 1007-1022. doi:10.1542/peds.2011-2654. American Association on Intellectual and Developmental Disabilities (2013). Diagnostic Adaptive Behavior Scale (DABS). http://aaidd.org/intellectual-disability/diagnostic-adaptive-behavior-scale#.VPJsc_10xMs. American Lung Association (Updated March 23, 2015). Marijuana and Lung Health. http://www.lung.org/stop-smoking/about-smoking/health-effects/marijuana-lung- health.html. American Psychiatric Association. (4th ed., TR) (2000). Diagnostic and statistical manual of mental disorders. Washington, DC: American Psychiatric Association. American Psychiatric Association (5th ed.) (2013a). Diagnostic and statistical manual of mental disorders –DSM-5 Washington, DC: American Psychiatric Association. American Psychiatric Association. (5th ed.) (2013b). Desk reference to the diagnostic criteria from the DSM-5. Washington, DC: American Psychiatric Association. American Psychological Association (1999). Standards for educational and psychological testing. Washington, DC: Author. American Psychological Association (2010). Ethical principles of psychologist and code of conduct. Washington, DC: Author. American Psychological Association (2016). Counseling psychology. Retrieved from http://www.apa.org/ed/graduate/specialize/counseling.aspx. Author. Ammer, J. J., & Bangs, T. (2000). Birth to Three Assessment and Intervention System. Austin, Texas: PRO•ED. Anderson, G. M. (2009). Conceptualization autism: The role of the emergence. Journal of the American Academy of Child and Adolescent Psychiatry, 48(7), 688-691. doi: 10.1097/CHI.obo13181a5e3d5. Andreasen, N. C., & Black, D. W. (2006). Introductory textbook of psychiatry (4th ed.). Washington, DC: American Psychiatric Press. Andreias, L., Borawski, E., Schluchter, M., Taylor, G., Klein, N., & Hack, M. (2010). Neighborhood influences on the academic achievement of extremely low birth weight children. Journal of Pediatric Psychology, 35(3), 275-283. doi: 10.1093/jpepsy/jsp057. Arredondo, P., Bordes, V., & Paniagua, F. A. (2008). Mexicans, Mexican Americans, Caribbean, and Other Latin Americans. In A J., Marsella, J. J. Johnson, P. W. Watson, & J. Gryeznski (Eds. ), Ethnocultural Perspectives On Disaster And Trauma (pp. 299-320). New York, NY: Springer- Verlag. Arnautovska. U., & Grad, O. T. (2010). Attitudes toward suicide in the adolescent population. Crisis: Journal of Crisis Intervention and Suicide Prevention. 31(1), 22-29. doi: 10.1027/0227-5910/a000009. Arnold, L. E., Aman, M., & Handen, B. (2011). What is the value of medication in ASC? In S. Bölte & J. Hallmayer J. (Eds.). Autism spectrum conditions (pp. 203-206). Cambridge, MA: Hogrefe. Arnold-Saritepe, A. M., Phillips, K. J., Mudfor, O. C., De Rozario, K. A., & Taylor, S. A. (2009). Generalization and maintenance. In J. L. Matson (Ed. ), Applied behavior analysis for children with autism spectrum disorders (pp. 207-224). New York, NY: Springer. August, G. J., Hektner, J. M., Egan, E. A, Realmuto, G. M., & Bloomquist, M. L. (2002). The Early Risers longitudinal trial: Examination of 3-year outcomes in aggressive children with intent-to-treat and as-intended analyses. Psychology of Addictive Behaviors, 16 (4S), S27-S39. August, G. J., Realmuto, G. M., Hektner, J. M., & Bloomquist, M. L. (2001). An integrated components preventive intervention for aggressive elementary school children: The Early Risers Program. Journal of Consulting and Clinical Psychology 69(4), 614–626. http://dx.doi.org/10.1037/0022-006X.69.4.614. Ayers, J. W., Hofstetter, C. R., Usita, P., Irvin, V., Kang, S, & Hovell, M. F. (2009). Sorting out the competing effects of acculturation, immigrant stress, and social support on depression: a report on Korean women in California. Journal of Nervous and Mental Disease, 197(10),742–747. doi:10.1097/NMD.0b013e3181b96e9e. Ayllon, T. (1999). (2nd Ed.). How to Use Token Economy and Point Systems. Austin, Texas: Pro.Ed. http://www.proedinc.com/customer/content.aspx?redid=1. Ayllon, T., & Azrin, N. (1968). The Token Economy: A Motivational System for Therapy and Rehabilitation. New York, NY: Appleton-Century-Crofts. Baer, D. M., Wolf, M. M., & Risley, T. R. (1987). Some still-current dimensions of applied behavior analysis. Journal of Applied Behavior Analysis, 20(4), 313-327. doi 10.1901/jaba.1987.20-313. Baird G., Charman T., Baron-Cohen, S., Cox, A., Swettenham, J., Wheelwright, S., & Drew, A. (2000). A screening instrument for autism at 18 months of age: A 6-year follow-up study. Journal of the American Academy of Child and Adolescent Psychiatry, 39(6), 694-702. doi: http://dx.doi.org/10.1097/00004583- 200006000-00007. Balboni, G., Tasse, M. J., Schalock, R. L., Borthwick-Duffy, S. A., Spreat, S., Thissen, D., Widaman, K. F., Zhang, D., & Navas, P. (2014). The Diagnostic Adaptive Scale: Evaluating its diagnostic sensitivity and specificity. Research in Developmental Disabilities, 35(11), 2884-2893. doi: 10.1016/j.ridd.2014.07.032. Bandura, A. (1969). Principles of behavior modification. New York, NY: Holt, Rinehart & Winston. Barkley, R. A. (1989). Attention deficit-hyperactivity disorder. In E. J. Mash & R. A. Barkley (Eds. ), Treatment of childhood disorders (pp. 39-72). New York, N.Y.: Guilford Press. Barkley, R. A. (1990). Attention deficit hyperactivity disorder. New York, NY: Guilford Press. Barkley, R. A. (2010). Taking charge of adult ADHD. New York, NY: Guilford Press. Barkley, R. A. (2013). Taking charge of ADHD: The complete, authoritative guide for parents. New York, NY: Guilford Press. Barkley, R. S. (2015a). History of ADHD. In R. A. Barkley (Ed. ), Attention-Deficit Hyperactivity Disorder: A Handbook for Diagnosis and Treatment (pp.3-50). New York, NY: Guilford Press. Barkley, R. A. (2015b). Etiologies of ADHD. In R. A. Barkley (Ed. ), Attention-Deficit Hyperactivity Disorder: A Handbook for Diagnosis and Treatment (pp. 356-390). New York, NY: Guilford Press. Barkley, R. A. (2015c). Health problems and related impairments in children and adults with ADHD. In R. A. Barkley (Ed. ), Attention-Deficit Hyperactivity Disorder: A Handbook for Diagnosis and Treatment (pp. 267-313). New York, NY: Guilford Press. Barkley, R. A. (2017). When an adult you love has ADHD: Professional advice for parents, partner, and siblings. Washington, DC: American Psychological Association. Barkley, R. A., Murphy, K. R., & Fischer, M. (2008). ADHD in adults: What the science says. New York, NY: Guilford Press. Barnhill, G. P. (2014). Collaboration between families and schools. In L. A. Wilkinson (Eds. ), Autism spectrum disorder in children and adolescents: Evidence-based assessment and intervention in schools (pp. 219-241). Washington, DC: American Psychological Association. Barrera, A., Torres, L. D., & Muñoz, R. F. (2007). Prevention of depression: The estate of the science at the beginning of the 21st century. International Review of Psychiatry, 19(6), 655-670. Bass, J. D., & Mulick, J. A. (2007). Social play skill enhancement of children with autism using peers and siblings as therapists. Psychology in the Schools, 44(7), 727-735. Battistich, V., Solomon, D., Watson, M., & Schaps, E. (1997). Caring school communities. Educational Psychologist, 32 (3), 137–151. Bauermeister, J. J. (2014). (3th Ed.). Hiperactivo, impulsivo, distraido ¿Me conoces? : Guia Acerca del deficit Atencional (TDAH) para padres, maestros y profesionales. [Hyperactive, impulsive, distracted Do you know me? : Guia About Attention Deficit (ADHD) for parents, teachers and professionals.] New York, NY: Guilford Press. Bearss, K., Johnson, C., Smith, T., Lecavalier, L., Swiezy, N., Aman, M., McAdam, D. B. (2015). Effect of parent training vs parent education on behavioral problems in children with autism spectrum disorder: A randomized clinical trial. JAMA, 313(15), 1524-1533. doi:10.1001/jama.2015.3150. Beck, J. S. (2011). Cognitive behavior therapy: Basic and beyond. New York, NY: Guilford Press. Beeman, S. K. (September, 1997). Reconceptualizing social support and its relationship to child neglect. Social Service Review, 71 (3), 421-440. Beidel, D. C., & Roberson-Nay, R. (2005). Treating Childhood Social Phobia: Social Effectiveness Therapy for Children. In E. D. Hibbs & P. S. Jensen (Eds. ), Psychosocial treatments for child and adolescent disorders: Empirically based strategies for clinical practice (2nd ed. ), pp. 75-96. Washington, DC: American Psychological Association. Beirne-Smith, M., Patton, J. R., & Kim, S. H. (2005). Mental retardation: An introduction to intellectual disability (7th edition). New York, N. Y.: Pearson. Bender, W. N. (1992). Learning disabilities: Characteristics, identification, and teaching strategies. Boston: Allyn & Bacon. Benet-Martinez, V., & Haritatos, J. (2005). Bicultural identity integration (BIT): Components and psychological antecedents. Journal of Personality, 73, 1015-1050. Benninga, M. A., Voskuijl, W. P., & Taminiau, J. A. (2004). Childhood constipation: Is there new light in the tunnel? Journal of Pediatric Gastroenterology and Nutrition, 39(5), 448-464. Berdan, L. E., Keane, S. P., & Calkins, S. D. (2008). Temperament and externalizing behavior: Social preference and perceived acceptance as protective factors. Developmental Psychology, 44(4), 957-968.doi: 10.1037/0012-1649.44.4.957. Berkowitz, S. J., Stover, C. S., & Marans, S. R. (2011). The child and family traumatic stress intervention: Secondary prevention for youth at risk youth of development PTSD. Journal of Child Psychology and Psychiatry, 52(6), 676-685. doi: 10.1111/j.1469-7610.2010.02321.x. Bergman, R. L., Piacentini, J., & McCracken, J. (2002). Prevalence and description of selective mutism in a school-based sample. Journal of the American Academy of Child & Adolescent Psychiatry, 41(8), 938–946. doi: http://dx.doi.org/10.1097/00004583-200208000-00012. Bernier, A., & Meins, E. (2008). A threshold approach to understanding the origins of attachment disorganization. Developmental Psychology, 44(4), 969-882. doi: 10.1037/0012-1649.44.4.969. Bernstein, G. A. & Borchardt, C. M. (1991). Anxiety disorders of childhood and adolescence: A critical review. Journal of the American Academy of Child & Adolescent Psychiatry, 30(4), 519-532.doi: http://dx.doi.org/10.1097/00004583-199107000-00001. Bernstein, G. A., Borchardt, C. M., & Perwien (1996). Anxiety disorders of childhood and adolescence: A review of the past 10 years. Journal of the American Academy of Child & Adolescent Psychiatry, 35(9), 1110-1119. doi: http://dx.doi.org/10.1097/00004583-199609000-00008. Berry, J. W. (1997). Immigration, Acculturation, and Adaptation. Applied Psychology: An International Review, 46(1), 5-68. doi: 10.1111/j.1464-0597.1997.tb01087.x. Berry, J. W. (2005). Acculturation: Living successfully in two cultures. International Journal of Intercultural Relations, 29(6), 697–712. doi:10.1016/j.ijintrel.2005.07.013. Besser, J., & Bufka, L. (2015). Transitioning to the ICD-10-CM. The National Psychologist, 24, p. 8. Bethell, C. D., Newacheck, P., Hawes, E., &, Halfon, N. (2014). adverse childhood experiences: Assessing the impact on health and school engagement and the mitigating role of resilience. Health Affairs, 33(12), 2106-2115. Doi: 10.1377/hlthaff.2014.0914. Bethune, S. (2017, June). And Idaho makes five. Monitor on Psychology. p. 18. Betz, A. M., & Fisher, W. W. (2011). Functional analysis: History and methods. In W. W. Fisher, C. C. Piazza & H. S. Roane (Eds.). Handbook of Applied Behavior Analysis (pp. 206-225). New York, NY: Guilford Press. Block, G. H. (1977). Hyperactivity: A cultural perspective. Journal of Learning Disabilities, 110(7), 236-240. doi: 10.1177/002221947701000412. & Dowrick, P. (1998). Case study: Audio feedforward treatment of selective mutism. Journal of the American Academy of Child and Adolescent Psychiatry, 37(1), 40-43. DOI: http://dx.doi.org/10.1097/00004583-199801000-00015. Boles, R. R., Roberts, M. C., & Vernberg, E. M. (2008). Treating non-retentive encopresis with rewarded scheduled toilet visits. Behavior Analysis Practice, 1(2), 68-72. Bölte, S. (2011). Why is it important to differentiate between high-and low-functioning ASC? In S. Bölte, & J. Hallmayer (Eds. ), Autism spectrum conditions (pp. 14-15). Cambridge, MA: Hogrefe. Bölte, S., & Hallmayer, J. (2011) (Eds.). Autism spectrum conditions. Cambridge, MA: Hogrefe. Bornstein, P. H., Bach, P. J., & Anton, B. (1982). Behavioral treatment of psychopathological disorders. In J. L. Matsomn & R. P. Barrett (Eds. ), Psychopathology in the mentally retarded (pp. 253-292). New York, NY: Grune & Stratton. Botvin, G., Baker, E., Dusenbury, L., Botvin, E., & Diaz, T. (1995). Long-term follow-up results of a randomized drug-abuse prevention trial in a white middle class population. Journal of the American Medical Association, 273(14), 1106–1112. doi: 10.1001/jama.1995.03520380042033. Botvin, G., Griffin, K. W., Paul, E., & Macaulay, A. P. (2003). Preventing tobacco and alcohol use among elementary school students through Life Skills Training. Journal of Child and Adolescent Substance Abuse, 12(4), 1–18. doi:10.1300/J029v12n04_01. Bower, W. F., Yip, S. K., & Teung, C. K. (2005). Dysfunctional elimination symptoms in childhood and adulthood. Journal of Urology, 174(4), 1623-1627. doi:10.1097/01.ju.0000176599.91836.12. Boyd-Franklin, N. (2003). Black families in therapy: Understanding the African American experience. New York, NY: Guilford Press. Braaten, E. B. (2011). How to find mental health care for your child. Washington, DC: American Psychological Association. Bratton, S., Purswell, K., & Jayne, A. K. (2015). Play therapy: A child-centered approach. In H. T Prout & A. L. Fedewa (Eds. ), Counseling and psychotherapy with children and adolescents: Theory and practice for school and clinical settings (pp. 91-113). New York, NY: John Wiley & Sons. Bregman, J. D. (2010). Overview of developmental disability. In R. C. Dryden- Edwards & L. Combrinck-Graham (eds. ), Developmental disabilities from childhood to adulthood: What works for psychiatrists in community and institutional settings (pp. 3-30). Baltimore, MD: Johns Hopkins University Press. Briere, J. (1996). Trauma Symptom Checklist for Children (TSCC), Professional Manual. Odessa, FL: Psychological Assessment Resources, Inc.
Briere, J. (2005). Trauma Symptom Checklist for Young Children (TSCYC): Professional Manual. Odessa, FL: Psychological Assessment Resources, Inc.
Brock, S. E., Jimerson, S. R., & Hansen, R. L. (2006). Identifying, assessing, and treating autism at school. New York, NY: Springer. Brooker, R. (2011). (4th ed.). Genetics: Analysis and principles. Blacklick, OH: McGraw-Hill. Brookman-Frazee, L., Vismara, L., Drahota, A., Stahmer, A., & Openden, D. (2009). Parent training interventions for children with autism. In J. L. Matson (Ed. ), Applied behavior analysis for children with autism spectrum disorders (pp. 237-257). New York, NY: Springer. Brotman, L. M., Kambourokos, D., & Theise, R. (2008). Symptoms-specific measures for disorders usually first diagnosed in infancy, childhood, or adolescence. In J. A. Rush, M. B., First, & D. Blacker (Eds. ), Handbook of psychiatric measures. (pp. 309-34). Washington, DC: American Psychiatric Press. Bucher, B., & Lovaas, O. I. (1967). Use of aversive stimulation in behavior modification. In M. R. Jones (Ed. ), Miami symposium on the prediction of behavior 1967: Aversive stimulation (pp. 77-145). Florida, Miami: University of Miami Press. Buescher, A. V. S., Cidav, Z., Knapp, M., & Mandell, D. S. (2014). Costs of Autism Spectrum Disorders in the United Kingdom and the United States. JAMA Pediatrics, 168(8), 721-728. doi:10.1001/jamapediatrics.2014.210. Buie, T., Campbell, D. B., Fuchs, G. J., Furuta, G. T., Levy, J., Vandewater, J.,… Winter, H. (2010). Evaluation, diagnosis, and treatment of gastrointestinal disorders in individuals with ASDs: A consensus report. Pediatrics, 125, S1–18. Buki, L. P., Ma, T. C., Strom, R. D., & Strom, S. K. (2003). Chine immigrant mothers of adolescents: Self- perception of acculturation effects on parenting. Cultural Diversity and Ethnic Minority Psychology, 9 (2), 127-140. doi: 10.1037/1099-9809.9.2.127. Burd, L., Severud, R., Klug, M. G., & Kerbeshian, J. (1999). Prenatal and perinatal risk factors for Tourette disorder. Journal of Perinatal Medicine, 27, 295-302. Burt, S. A., Krueger, R. F., McGue, M, & Iacono, W. G. (2001). Sources of covariation among attention deficit/hyperactivity disorder, oppositional defiant disorder, and conduct disorder: The importance of shared environment. Journal of Abnormal Psychology, 110(4), 516–525. Calkins, S. D., & Bell, M. A., (Eds.) (2009). Child Development at the Intersection of Emotion and Cognition. Washington, DC: American Psychological Association. Campbell, J. M., Ruble, L. A., & Hammond, R. K. 2015). Children and adolescents with disabilities: Implications for interventions. In H. T Prout & A. L. Fedewa (Eds. ), Counseling and psychotherapy with children and adolescents: Theory and practice for school and clinical settings (pp.357-398). New York, NY: John Wiley & Sons. Carpenter, F. (1974). The Skinner primer: Beyond freedom and dignity. New York, NY: The Free Press. Carr, E. G., Newsom, C. D., & Binbkoff, J. A. (1976). Stimulus control of self-destructive behavior in a psychotic child. Journal of Abnormal Child Psychology, 4(2), 139-153. doi:10.1007/BF00916518. Casat, C. D., Pearson, D. A., & Casat, J. P. (2001). Attention-deficit/hyperactivity disorder. In H. B. Vance & A. J. Pumariega (Eds. ), Clinical assessment of children and adolescent behavior: (pp. 263-306). New York, NY: John Wiley & Sons. Casiero, D., & Frishman, W. H. (2006). Cardiovascular complications of eating disorders. Cardiology in Review, 14(5), 227-231. doi: 10.1097/01.crd.0000216745.96062.7c. Catalano, R. F., Gainey, R. R., Fleming, C. B., Haggerty, K. P., & Johnson, N. O. (1999). An experimental intervention with families of substance abusers: One-year follow-up of the Focus on Families Project. Addiction, 94(2), 241–254. Catalano, R. F., Haggerty, K. P., Fleming, C. B., Brewer, D. D., & Gainey, R. R. (2002). Children of substance abusing parents: Current findings from the Focus on Families project. In R. J. McMahon & R. D. Peters (Eds. ), The Effects of Parental Dysfunction on Children (pp. 179-204). New York, NY: Kluwer Academic Press/Plenum Publishers. Centers for Disease Control and Prevention. (2010). Cytomegalovirus (CMV) and Congenital CMV Infection. Retrieved from http://www.cdc.gov/cmv/testing-diagnosis.html. Centers for Disease Control and Prevention. (2012). Youth violence: Facts at a glance. http://www.cdc.gov/violenceprevention/pdf/yv-datasheet-a.pdf. Centers for Disease Control and Prevention (2013a). BMI Percentile Calculator for Child and Teen. http://www.cdc.gov/healthyweight/assessing/bmi/. Centers for Disease Control and Prevention (2013b). Mental health surveillance among children-United States, 2005-2011. MMWR, 62 (Suppl; May 16, 2013), 1-35. Centers for Disease Control and Prevention. (2013c). National Action Plan for Child Injury. http://www.cdc.gov/safechild/nap/. Centers for Disease Control and Prevention. (2014). Why Are Childhood Vaccines So Important? http://www.cdc.gov/vaccines/vac-gen/howvpd.htm. Centers for Disease Control and Prevention. (2015a). Autism spectrum disorder: Data & Statistics. http://www.cdc.gov/ncbddd/autism/data.html. Centers for Disease Control and Prevention. (2015b). 10 things to know about new autism data. http://www.cdc.gov/features/dsautismdata/index.html. Centers for Disease Control and Prevention. (2015c). Autism spectrum disorder: Signs and symptoms. http://www.cdc.gov/ncbddd/autism/signs.html. Centers for Disease Control and Prevention. (2016). Child health. http://www.cdc.gov/nchs/fastats/child-health.htm. Center for the Study of Social Policy. (2003). Protective factors literature. Washington, DC: Author. Center for Substance Abuse Treatment. (1999). Treatment improvement protocols (TIP). Report No. (SMA). Retrieved from: http://www.ncbi.nlm.nih.gov/books/NBK64364/. Cervantes, R. C., & Arroyo, W. (1994). DSM-IV: Implications for Hispanic children and adolescents. Hispanic Journal of the Behavioral Sciences, 16(1), 8-27. doi:10.1177/07399863940161002. Chahal, L., & Harden, A. Y. (2011). Are antipsychotic medications useful in ASC? In S. Bölte & J. Hallmayer J. (Eds.). Autism spectrum conditions (pp. 211-213). Cambridge, MA: Hogrefe. Charman, T. (2011). At what age can ASC be detected? In S. Bölte, & J. Hallmayer (Eds. ), Autism spectrum conditions (pp. 20-23). Cambridge, MA: Hogrefe. Charlop, M. H., Kurtz, P. F., & Casey, F. G. (1990). Using aberrant behaviors as reinforcers for autistic children. Journal of Applied Behavior Analysis, 23(2), 163-181. 10.1901/jaba.1990.23-163. Chaste, P., & Devlin, B. (2015). Architecture of the genetic risk for autism. In M. Leboyer & P. Chaste (Eds. ), Autism spectrum disorders: Phenotypes, mechanisms and treatment (pp. 80-96). Basel, Switzerland: Karger. Chen, F. S., Minson, J. A., Schonel, M., & Heinrichs, M. (2013, September 26). In the eye of the beholder: Eye contact increases resistance to persuasion. Psychological Science, 24(11) 2254 –2261. doi: 10.1177/0956797613491968. Cheref, S., Lane, R., Polanco-Roman, L., Gadol, E., & Miranda, R. (2015). Suicidal ideation among racial/ethnic minorities: Moderating effects of rumination and depressive symptoms. Cultural Diversity and Ethnic Minority Psychology, 21(1), 31-40. doi: 10.1037/a0037139. Chou, C., Montgomery, S., Pentz, M., Rohrbach, L., Johnson, C., Flay, B., & Mackinnon, D. (1998). Effects of a community-based prevention program in decreasing drug use in high-risk adolescents. American Journal of Public Health, 88(6), 944–948. Clark, R., Anderson, N. B., Clark, V. R., & Williams, D. R. (1999). Racism as stressor for African Americans: A biopsychosocial model. American Psychologist, 54(10), 805-816. http://dx.doi.org/10.1037/0003-066X.54.10.805. Clarke, M. C., Tanskamen, A., Huttunen, M., Whittaker, J. C., & Cannon, M. (2009). Evidence for an interaction between familial liability and prenatal exposure to infection in the causation of schizophrenia. American Journal of Psychiatry, 166(9), 1025-1030. doi: 10.1176/appi.ajp.2009.08010031. Cobb. C. L., Xie, D., Meca, A., & Schwartz, S. J. (2017). Acculturation, discrimination, and depression among unauthorized Latinos/as in the United States. Cultural Diversity and Ethnic Minority Psychology, 23(2), 258-268. Coehlo, D. P. (2011). Encopresis: A medical and family approach. Pediatric Nursing, 37(3), 107-112. Cohen, J. A., Mannarino, A. P., Perel, J. M., & Staron, V. (2007). A pilot randomized controlled trial of combined trauma-focused CBT and sertraline for childhood PTSD symptoms. Journal of the American Academy of Child and Adolescent Psychiatry, 46(7), 811-819. doi: http://dx.doi.org/10.1097/chi.0b013e3180547105. Comas-Díaz, L. (2006). Cultural variation in the therapeutic relationship. In C. D. Goodheart, A. E. Kazdin, & R. J. Sternberg (Eds. ), Evidence-based psychotherapy: Where practice and research meet (pp. 81-105). Washington, DC: American Psychological Association. Comas-Díaz, L. (2012). Multicultural care: A clinician’s guide to cultural competence. Washington, DC: American Psychological Association. Conduct Problems Prevention Research Group-CPPRG. (2002). The implementation of the Fast Track Program: An example of a large- scale prevention science efficacy trial. Journal of Abnormal Child Psychology 30, 1–17. Conners, C. K., Sitarenios, G., Parker, J. D., & Epstein, J. N. (1998). The revised Conners’ Parent Rating Scale (CPRS-R): factor structure, reliability, and criterion validity. Journal of Abnormal Child Psychology, 26(4), 257–268. doi:10.1023/A:1022602400621. Connor, D. F. (2015). Stimulant and nonstimulant medications of childhood ADHD. In R. A. Barkley (Ed. ), Attention-Deficit Hyperactivity Disorder: A Handbook for Diagnosis and Treatment (pp. 666-685). New York, NY: Guilford Press. Cooper, W. O., Abel, L. A., Sox, C. M., Chan, K. A., Arbogast, P. G.,… Cheetham, T. C. (2011). ADHD Drugs and Serious Cardiovascular Events in Children and Young Adults. New England Journal of Medicine, 365(17), 1896-1904. doi: 10.1056/NEJMoa1110212. Copeland, W. E., Wolke, D., Angold, A., Costello, E. J. (2013). Adult psychiatric outcomes of bullying and being bullied by peers in childhood and adolescence. JAMA Psychiatry, 70(4), 419-426. doi:10.1001/jamapsychiatry.2013.504. Corbett, B. A., Swain, D. M., Newsom, C., Wang, L., Song, Y, & Edgerton, D. (2014). Biobehavioral profiles of arousal and social motivation in autism spectrum disorders. Journal of Child Psychology and Psychiatry, 55(8), 924-934. doi: 10.1111/jcpp.12184. Corcoran, J. (2011). Mental health treatment for children and adolescents. New York, NY: Oxford University Press. Cornell, D., Gregory, A., Huang, F., & Fan, X. (2013). Perceived prevalence of teasing and bullying predicts high school dropout rates. Journal of Educational Psychology, 105(1), 138-149. http://dx.doi.org/10.1037/a0030416. Corrigan, P. (2004). How stigma interferes with mental health care. American Psychologist, 59(7), 614-625. DOI: 10.1037/0003-066X.59.7.614. Corrigan, P. W., & Penn, D. L. (2015). Lessons from social Psychology on discrediting psychiatric stigma. Stigma and Health, 1(S), 2-17. http://dx.doi.org/10.1037/2376-6972.1.S.2. Cossio, S. E. (2002). Enuresis. South Medical Journal, 95, 183-187. Costello, E. J., & Angold, D. (1995). Developmental epidemiology. In D. Cicchetti & D. J. Cohen (Eds. ), Developmental psychopathology (pp. 23-56). New York, NY: John Wiley & Sons. Costello, E J., Mustillo, S., Erkanli, A., Keeler, G., & Angold, A. (2003). Prevalence and development of psychiatric disorders in childhood and adolescence. Archives of General Psychiatry, 60(8), 837-844.doi: 10.1001/archpsyc.60.8.837. Costello, D. M., Rose, J. S., Swendsen, J., & Dierker, L. C. (2008). Risk and protective factors associated with trajectories of depressed mood from adolescence to early adulthood. Journal of Consulting and Clinical Psychology, 76(2), 173-183. doi: 10.1037/0022-006X.76.2.173. Cox, R. D. (1993). Normal childhood development from birth to five years. In E. Schopler, M. V., Bourgondien, & M. M. Bristol (Eds. ), Preschool issue in autism (pp.39-57). New York, NY: Plenum Press. Crowther, J. H., & Sherwood, N. E. (1997). Assessment. In D. M., Garner & P. E. Garfinkel (Eds. ), Handbook of treatment for eating disorders (pp. 34-49). New York, NY: Guilford Press. Cuéllar, I. (2000). Acculturation and mental health: Ecological transactional relations of adjustment. In I. Cuellar & F. A. Paniagua (Eds. ), Handbook of multicultural mental health: Assessment and treatment of diverse population (pp. 45-62). New York, NY: Academic Press. DeAngelis, T. (2015). In search of cultural competence. Monitor on Psychology, 46(3), 64-69. Deacon, B. J. (2014). Prescription authority for psychologists: A survey of the ABCT membership. The Behavior Therapist, 37(6), 163-169.
de Kort, L. M. O., Verhulst, J. A. P. M., Engelbert, R. H. H., Utterwaal, C. S. P. M., & de Jong, T. P. V. M. (2003). Lower urinary tract dysfunction in children with generalized hypermobility of joints. The Journal of Urology, 170(5), 1971-1974. doi: http://dx.doi.org/10.1097/01.ju.0000091643.35118.d3. de la Fuentes, C. (2003). Latinos and mental health: At least you should know this. In J. S. Mio & G. Y. Iwamasa (Eds. ), Culturally diverse mental health: The challenger of research and resistance (pp. 159-172). New York, NY: Routledge. Denhoff, E., & Feldman, S. A. (1981). Developmental disabilities. New York, NY: Marcel Dekker. Denny, S., Fleming, T., Clark, T. C., & Wall, M. (2004). Emotional resilience: Risk and protective factors for depression among alternative education students in New Zealand. American Journal of Orthopsychiatry, 74(2), 137-149. Dervic, K., Oquendo, M. A., Grunebaum, M. F., Ellis, S., Burke, A. K., & Mann, J. J. (2004). Religious affiliation and suicide attempt. American Journal of Psychiatry, 161(12), 2303-2308. http://dx.doi.org/10.1176/appi.ajp.161.12.2303. Dia, D. A. (2001). Cognitive-behavioral therapy with six-year-old boy with separation anxiety disorder: A case study. Health & Social Work, 26(2), 125-128. DOI: 10.1093/hsw/26.2.125. DiLalla, L. F. (Ed.) (2004). Behavior genetics principles: Perspectives in development, personality, and psychopathology. Washington, DC; American Psychological Association. DiMaria, L. (2012). Cyclothymia in children and adolescents: Information for parents. http://depression.about.com/od/bipolar/a/Cyclothymia.htm. Dishion, T., Kavanagh, K., Schneiger, A. K. J., Nelson, S., & Kaufman, N. (2002). Preventing early adolescent substance use: A family centered strategy for the public middle school. Prevention Science 3(3), 191–202. Dow, S. P., Sonies, B. C., Scheib, D., Moss, S. E., & Leonard, H. L. (1995). Practical guidelines for the assessment and treatment of selective mutism. Journal of the American Academy of Child & Adolescent Psychiatry, 34(7), 836-846. DOI: http://dx.doi.org/10. Dryden-Edwards, R. C. (2010). Prenatal exposure to toxic substances. In R. C. Dryden- Edwards & L. Combrinck- Graham (Eds. ), Developmental disabilities from childhood to adulthood: What works for psychiatrists in community and institutional settings (pp.143-152). Baltimore, MD: Johns Hopkins University Press. Dummit, E. S., Klein, R. G., Tancer, N. K., Asche, B., & Martin, J. (1996). Fluoxetine treatment of children with selective mutism: an open trial. Journal of the American Academy of Child and Adolescent Psychiatry, 35(5), 615-621. doi:10.1097/00004583-199605000-00016. Duncan, L. E., Pollastril A. R., & Smoller, J. W. (2014). Mind the gap: Why may geneticists and psychological scientists have discrepant view about gene-environment interactions (GxE) research. American Psychologists, 69(3), 249-268. doi: 10.1037/a0036320. Durand, V. M., (2014). Autism spectrum disorder: A clinical guide for practitioners. Washington, DC: American Psychological Association. Durlak, J. A. (1998). Common risk and protective factors in successful prevention programs. American Journal of Orthopsychiatry, 68(4), 512-520. doi: 10.1037/h0080360. Eagle, M. N. (2006). Attachment, psychotherapy, and assessment: A commentary. Journal of Consulting and Clinical Psychology, 74(6), 1086–1097. Eaton, D. K., Kann, L., Kinchen, S., Shanklin, S., Ross, J., Hawkins, J.,...Wechsler, H. (2010). Youth Risk Behavior Surveillance-United States, 2009. MMWR Morbidity and Mortality Weekly Report Surveillance Summary, 59 (No. SS05), 1-142. Edelbrock, C., & Rancurello, M. D. (1985). Childhood hyperactivity: An overview of rating scales and their applications. Clinical Psychology Review, 5(5), 429-445. doi:10.1016/0272-7358(85)90003-0. Eggert, L. L., Thompson, E. A., Herting, J. R., & Nicholas, L. J. (1995). Reducing suicide potential among high-risk youth: Tests of a school-based prevention program. Suicide & Life-Threatening Behavior 25(2), 276–296. Eggert, L. L., Thompson, E. A., Herting, J. R., & Randall, B. P. (2001). Reconnecting youth to prevent drug abuse, school dropout, and suicidal behaviors among high-risk youth. In E. Wagner & H. B. Waldron (Eds. ), Innovations in Adolescent Substance Abuse Intervention (pp. 51-84). New York, NY: Pergamon Press. Ehlers, S., Gillberg, C., & Wing, L. (1999). A screening questionnaire for Asperger syndrome and other high functioning autism spectrum disorders in school age children. Journal of Autism and Developmental Disorders, 29(2), 129-141. doi:10.1023/A:1023040610384. Eisen, M., Zellman, G. L., Massett, H. A., & Murray, D. M. (2002). Evaluating the Lions-Quest “Skills for Adolescence” drug education program: First-year behavior outcomes. Addictive Behaviors, 27(4), 619–632. doi:10.1016/S0306-4603(01)00197-6. Elizur, Y., & Perednik, R. (2003). Prevalence and description of selective mutism in immigrant and native families: a controlled study. Journal of the American Academy of Child and Adolescent Psychiatry, 42(12), 1451-1459. doi:10.1097/00004583-200312000-00012. Elgar, F. J., Napoletano, A., Saul, G., Dirks, M., Craig, W., Poteat, P., Koening, B. W. (2014). Cyberbullying victimization and mental health in adolescents and the moderating role of family diners. Pediatrics, 168(11), 1015-1022. doi: 10.1001/jamapediatrics. Ellison, K. (November 21, 2009). “Medical Marijuana: No Longer Just for Adults.” New York Times. http://www.nytimes.com/2009/11/22/health/22sfmedical.html. England, M. J., Butler, A. S., & Gonzalez, M. L. (2015) (Eds.). Psychosocial interventions for mental and substance use disorders: A framework for establishing evidence-based standards. Washington, DC: National Academies Press. Ennis-Cole, D., Durodoye, B., & Harris, H. (July 2013). The impact of culture on Autism diagnosis and treatment: Considerations for counselors and other professionals. The Family Journal: Counseling and Therapy for Couples and Families, 21(3), 279-287. doi: 10.1177/1066480713476834. Eskin, M., Ertekin, K., Dereboy, C., & Demirkiran, F. (2007). Risk factors for and protective factors against adolescent suicidal behavior in Turkey. Crisis, 28(3), 131-139. Eunice Kennedy Shrive National Institute of Child and Human Development, 2013). How many people are affected by autism spectrum disorder (ASD)? https://www.nichd.nih.gov/health/topics/autism/conditioninfo/Pages/at-risk.aspx. Eyberg, S. M., O’Brien, K. A., & Chase, R. M. (2006). Oppositional defiant disorder and parent training. In J. E. Fisher & W. T. O’Donohue (2006) (Eds.). Practitioner’s guide to evidence-based psychotherapy (pp. 461-468). New York, NY: Springer. Faraone, S. V., Tsuang, M. T., & Tsuang, D. W. (1999). Genetics of mental disorders: A guide for students, clinicians, and researchers. New York, NY: Guilford Press. Farrell, A. D., & White, K. S. (1998). Peer influences and drug use among urban adolescents: Family structure and parent-adolescent relationship as protective factors. Journal of Consulting and Clinical Psychology, 66(2), 248-258. http://dx.doi.org/10.1037/0022-006X.66.2.248. Feldman, A. S., & Bauer, S. B. (2006). Diagnosis and management of dysfunctional voiding. Current Opinion in Pediatrics, 18, 139-147. Ferner, M. (2014). Alaska Becomes Fourth State To Legalize Recreational Marijuana. Retrieved March 31, 2015:http://www.huffingtonpost.com/2014/11/05/alaska-marijuana-legalization_n_5947516.html. Ferretti, R. P., & Cavalier, A. R. (1983). A critical assessment of overcorrection procedures with mentally retarded persons. In J. L. Matson & F. Andrasik (Eds. ), Treatment issues and innovations in mental retardation (pp. 241-301). New York: Plenum Press. Finkelhor, D., Ormrod, R. K., & Turner, H. A. (2009). Lifetime assessment of poly-victimization in a national sample of children and youth. Child Abuse & Neglect, 33(7), 403-411. doi:10.1016/j.chiabu.2008.09.012. Fisher, J. E., & O’Donohue, M. T. (2006) (Eds.). Practitioner’s guide to evidence-based psychotherapy. New York, NY: Springer. Fisher, S. E. (2003). Isolation of the genetic factors underlying speech and language disorders. In R. Plomin, J. C., Defries, I. W. Craig, & P. McGuffin, Behavioral genetics in the postgenomic era (Eds. ), (pp, 205-226). Washington, DC: American Psychological Association. Fisher, W. W., Piazza, C. C., & Roane, H. S. (2011). (Eds.). Handbook of Applied Behavior Analysis. New York, NY: Guilford Press. Fletcher, K. (1996a). Psychometric review of Dimensions of Stressful Events (DOSE) Ratings Scale. In B. H. Stamm (Ed. ), Measurement of stress, trauma, and adaptation (pp. 144-151). Lutherville, MD: Sidran Press. Fletcher, K. (1996b). Psychometric review of the When Bad Things Happen Scale (WBTH). In B. H. Stamm (Ed. ), Measurement of stress, trauma, and adaptation (pp. 435-437). Lutherville, MD: Sidran Press. Fletcher, K. (1996c). Psychometric review of the Parent Report of Child's Reaction to Stress. In B. H. Stamm (Ed. ), Measurement of stress, trauma, and adaptation (pp. 225-227). Lutherville, MD: Sidran Press. Fletcher, R. J. (1993). Individual psychotherapy for persons with mental retardation. In R. J. Fletcher & A. Dosen (Eds. ), Mental health aspects of mental retardation: Progress in assessment and treatment (pp. 327-349). New York: Lexington Books. Fletcher, R. J., & Duffy, T. H. (1993). Group therapy for persons with mental retardation In R. J. Fletcher & A. Dosen (Eds. ), Mental health aspects of mental retardation: Progress in assessment and treatment (pp. 377-401). New York, NY: Lexington Books. Fombonne, E. (2002). Epidemiological trends in rates of autism. Molecular Psychiatry, 7, S4–S6). doi:10.1038/sj.mp.4001162. Fombonne, E. (2009). A wrinkle in time: From early signs to a diagnostic of autism. Journal of the American Academy of Child and Adolescent Psychiatry, 48(5), 563-464. doi: 10.1097/CHI.0b013e31819e40c0. Foxx, R. M. (1980). Effective behavioral programming: Procedures for educating and training retarded persons. Champaign, IL: Research Press. Foxx, R. M. (2011). What is applied behavior analysis (ABA)? In Bölte & J. Hallmayer J. (Eds.). Autism spectrum conditions (pp. 187-189). Cambridge, MA: Hogrefe. Foxx, R. M., & Azrin, N. (1973). The elimination of autistic self-stimulation behavior by overcorrection. Journal of Applied Behavior Analysis, 6(1), 1-14. doi: 10.1901/jaba.1973.6-1. FRIENDS-National Resource Center for Community Based Child Abuse Prevention (2008). The protective factors survey: User Manual. Chapel Hill, NC: Author. www.friendsnrc.org. Freitag, C. M. (2015). Early signs and early intervention. In M. Leboyer & P. Chaste (Eds. ), Autism spectrum disorders: Phenotypes, mechanisms and treatment (pp.135-150). Basel, Switzerland: Karger. Friman, P. C., & Piazza, C. C. (2011). Behavioral pediatrics: Integrating applied behavior analysis with pediatric medicine. In W. W. Fisher, C. C. Piazza, & H. S. Roane (Eds. ), Handbook of applied behavior analysis (pp. 433-450). New York, NY: Guilford Press. Furnis, F. (2009). Assessment methods. In J. L. Matson (Ed. ), Applied behavior analysis for children with autism spectrum disorders (pp. 33-66). New York, NY: Springer. Gabrielsen, T. P., Farley, M., Speer, L., Villalobos, M., Baker, C. N., & Miller, J. (2015). Identifying autism in a brief observation. Pediatric, 135(2), 330-338. doi: 10.1542/peds.2014-1428. Gadow, K. D., & Pomeroy, J. C. (1991) (2nd Ed.). An overview of psychopharmacotherapy for children and adolescents. In T. R. Kratochwill & R. J. Morris (Eds. ), The practice of child therapy (pp. 367-409). New York: Pergamon Press. Gallardo, M. E., Yeh, C. J., Trimble, J. E., & Parham, T. A. (Eds.). (2012). Culturally adaptive counseling skills: Demonstrations of evidence-based practices. Thousand Oaks, CA: Sage. Gardener, H., Spliegerlman, D., & Buka, S. L. (2011). Perinatal and Neonatal Risk Factors for Autism: A Comprehensive Meta-analysis. Pediatrics, 128(2), 344-355. doi: 10.1542/peds.2010-1036. Garner, D. M., & Garfinkel, P. E. (1997). Handbook of treatment for eating disorders. New York, NY: Guilford Press. Garnett, M. S., & Attwood, A. J. (1998). The Australian Scale for Asperger Syndrome. In T. Attwood (Ed. ), Asperger syndrome: A guide for parents and professionals (pp.17-19). London: Jessica Kingsley Publishers. Gibbs, J. T., & Huang, L. N. (Eds.). (2003). Children or color: Psychological interventions with culturally diverse youth. San Francisco, CA: Jossey-Bass. Gilman, R., & Chard, K. (2015). Cognitive-behavioral and behavioral approaches. In H. T Prout & A. L. Fedewa (Eds. ), Counseling and psychotherapy with children and adolescents: Theory and practice for school and clinical settings (pp. 115-153). New York, NY: John Wiley & Sons. Glenn, J. J., Werntz, A. J., Slama, S. J. K., Steinman, S. A., Teachman, B. A., & Nock, M. (2016). Suicide and self-injury-related implicit cognition: A large-scale examination and replication. Journal of Abnormal Psychology. doi: http://dx.doi.org/10.1037/abn0000230. Goin, R. P. (1998). Nocturnal enuresis in children. Child: Care, Health, and Development, 24, 277-288. Goldman, J., Stein, C. L., & Guerry, S. (1983). Psychological methods of child assessment. New York, NY: Brunner/Mazel. Goldberg, J. (2014). Preventing anxiety. WebMD Medical Reference from eMedicineHealth. http://www.webmd.com/anxiety-panic/guide/preventing-anxiety#0. Goldberg, L., MacKinnon, D. P., Elliot, D. L., Moe, E. L., Clarke, G., & Cheong, J. W. (2000). The Adolescents Training and Learning to Avoid Steroids Program. Preventing drug use and promoting health behaviors. Archives of Pediatric and Adolescent Medicine, 154(4), 332–338. doi:10.1001/archpedi.154.4.332. Goldstein. B. I., Shamseddeen, W., Spirito, A., Emslie, G., Clarke, G., Wagner, K. D.,…Brent D. (2009). Substance use and the treatment of resistant depression in adolescents. American Academy of Child and Adolescent Psychiatry, 48(12) 1182-1192. doi: 10.1097/CHI.0b013e3181bef6e8. Golombeck, A. A., Toth, K., & King, B. (2010). Autism spectrum disorders. In R. C. Dryden- Edwards & L. Combrinck-Graham (Eds. ), Developmental disabilities from childhood to adulthood: What works for psychiatrists in community and institutional settings (pp.80-123). Baltimore, MD: Johns Hopkins University Press. Gontard, A. V., & Hollmann, E. (2004). Comorbidity of functional urinary incontinence and encopresis: Somatic and behavioral associations. The Journal of Urology, 171(6), 2644-2647. doi:10.1097/01.ju.0000113228.80583.83. Goodheart, C. D., Kazdin, A. E., & Sternberg, R. J. (Eds.). (2006). Evidence-based psychotherapy: Where practice and research meet. Washington, DC: American Psychological Association. Goodlin-Jones, B. L., & Solomon, M. (2003). Contributions of psychology. In S. Ozonoff, S, J. Rogers, & R. L. Hendren (Eds. ), Autism spectrum disorders (55-85). Washington, DC: American Psychiatric Publishing. Gould, M. S., Walsh, T., Munfakh, J. L., Kleinman, M., Duan, N., Olfson, M., Greenhill, L, & Cooper, T. (2009). Sudden death and use of stimulant medications in youth. American Journal of Psychiatry, 166(9), 992-1001. http://dx.doi.org/10.1176/appi.ajp.2009. Goyette, C. H., Conners, C. K., & Ulrich, R. F. (1978). Normative data on Revised Conners Parent and Teacher Rating Scales. Journal of Abnormal Child Psychology, 6(2), 221-236. 10.1007/BF00919127. Graham, S., Munniksma, A., & Juvonen, J. (2014). Psychosocial benefits of cross-ethnic friendships in urban middle schools. Child Development, 85(2), 469-483. doi: 10.1111/cdev.12159. Greenberg, M. T., & Kusché, C. A. (1998). Preventive interventions for school-age deaf children: The PATHS curriculum. Journal of Deaf Studies & Deaf Education, 3(1), 49–63. doi: 10.1093/oxfordjournals.deafed.a014340. Grizenko, N., Cvejic, H., Vida, S., & Sayegh, L. (1991). Behaviour problems of the mentally retarded. Canadian Journal of Psychiatry, 36(10), 712-717. Grizenko, N., & Pawliuk, N. (1994). Risk and protective factors for disruptive behavior disorders in children. American Journal of Orthopsychiatry, 64(4), 534-544. doi: 10.1037/h0079566. Gurrad, A. M., Weber, K. P., & McLaughlin, T. F. (2002). The effects of contingency contracting for middle schoolstudents with attention deficit hyperactivity disorder during corrective reading lessons: A case report. International Journal of Special Education, 17(1), 26-32. Gustafson, S., Edlund, B., Kjellin, L., & Norring, C. (2009). Risk protective factors for disturbed eating in adolescent girls: Aspects of perfectionism and attitudes toe ting and weight. European Eating Disorders Review, 17(5), 380-389. doi: 10.1002/erv.930. Hadjkacem, I., Ayadi, Turki, M., Yaich, S., Khemehem, K., Walha, A., … Cherif, F. F. (2016). Prenatal, perinatal and postnatal factors associated with autism spectrum disorder. Joural de Pedatria 86(6), 595-601. Halmoy, A., Klungoyr, K., Skjaerven, R., & Haavik, J. (2012). Pre- and Perinatal Risk Factors in Adults with Attention-Deficit/Hyperactivity Disorder, Biological Psychiatry,71(5), 474–481. doi:10.1016/j.biopsych.2011.11.013. Hamarman, S. (2010). Assessment of developmental disabilities. In R. C. Dryden- Edwards & L. Combrinck-Graham (Eds. ), Developmental disabilities from childhood to adulthood: What works for psychiatrists in community and institutional settings (pp.172-193). Baltimore, MD: Johns Hopkins University Press. Hamblen, J., & Barnett, E. (2016). PTSD in children and adolescents. Washington, DC: National Center for PTSD, U. S. Department of Veteran Affairs. Hamilton, M., & Matson, J. L. (1992). In S. M. Turner, K. S. Calhoun, & H. E. Adams (Eds. ), Handbook of clinical behavior therapy (pp.317-336). New York: John Wiley & Sons. Hammerness, P. G., Perrin, J. M., Shelley-Abrahamson, R., & Wilens, T. E. (2011). Cardiovascular Risk of Stimulant Treatment in Pediatric Attention-Deficit/Hyperactivity Disorder: Update and clinical recommendations. Journal of the American Academy of Child and Adolescent Psychiatry, 50(10), 978-990. doi:10.1016/j.jaac.2011.07.018. Handen, B. L., & Gilchrist, R. H. (2006). Mental retardation. In E. J. Mash & R. A. Barkley (Eds. ), treatment of childhood disorders (pp. 411454) (3rd Ed.). New York, NY: Guilford Press. Hansakunachai, T., Ruangdaraganon, N., Udomsubpayakul, U., Sombauntham, T., & Kotchabhakdi, N. (2005). Epidemiology of enuresis among school-age children in Thailand. Developmental and Behavioral Pediatrics, 26(5), 356-360. doi: 10.1097/00004703-200510000-00003. Hanley, G. P. & Tiger, J. H. (2011). Differential reinforcement procedures. In W. W. Fisher, C. C. Piazza, & H. S. Roane (Eds. ), Handbook of applied behavior analysis (pp. 229-249). New York, NY: Guilford Press. Hardy, L., Martin, G., Yu, D., Leader, C., Quinn, G. (1981). Objective behavioral assessment of the severely and moderately mentally handicapped: The OBA. Springfield, IL: Charles C. Thomas. Hartmann, D. P., & Hall, R. V. (2976). The changing criterion design. Journal of Applied Behavior Analysis, 9(4), 527-532. doi: 10.19001/jaba.1976.9-527l. Harris, S. L. (2011). When should people with ASC move out of the family home? In S. Bölte & J. Hallmayer J. (Eds.). Autism spectrum conditions (pp. 233-234). Cambridge, MA: Hogrefe. Hawkins, J. D., Catalano, R. F., Kosterman, R., Abbott, R., & Hill, K. G. (1999). Preventing adolescent health-risk behaviors by strengthening protection during childhood. Archives of Pediatric and Adolescent Medicine, 153(3), 226–234. doi:10.1001/archpedi.153.3.226. Haynes, S. N., & O’Brien, W. H. (2000). Principles and practice of behavioral assessment. Norwell, MA: Kluwer Academic/Plenum. Hennicke, K. (1993). System therapy for persons with mental retardation. In R. J. Fletcher & A. Dosen (Eds. ), Mental health aspects of mental retardation: Progress in assessment and treatment (pp. 402-417). New York, NY: Lexington Books. Hersen, M., & Barlow, D. H. (1976). Single case experimental designs. New York, NY: Pergamon Press. Hersen, M., & Hasselt, V. B. V. (1987). Child therapy with children and adolescents. New York: John Wiley & Sons. Hibbs, E. D., & Jensen, P. S. (2005). Psychosocial treatments for children and adolescents disorders: Empirically based strategies for clinical practice (2nd Ed.). Washington, DC: American Psychological Association. Hinduja, S., & Patchin, J. W. (2013). Social influences on cyberbullying behaviors among middle and high school students. Journal of Youth and Adolescence, 42(5), 711-722. doi:1007/s10964-012-9902-4. Hinshaw, S. P., Owens, E. B., Zalecki, C., Huggins, S. P., Montenegro-Nevado, A. J., Schrodek E., & Swanson, E. N. (2012). Prospective Follow-Up of Girls With Attention-Deficit/Hyperactivity Disorder Into Early Adulthood: Continuing Impairment Includes Elevated Risk for Suicide Attempts and Self-Injury. Journal of Consulting and Clinical Psychology, 80(6), 1041-1051. doi:10.1037/a0029451. Ho, M. K. (2992). Minority children and adolescent in therapy. Newbury Park, CA: Sage. Hollander, E. (2003). (Ed.). Autism spectrum disorders. New York, NY: Marcel Dekker. Hollander, E., & Nowinski, C. V. (2003). Core symptoms, related disorders, and course of autism. In E. Hollander (Ed. ), Autism spectrum disorder (pp. 15-38). New York, NY: Marcel Dekker. Horner, R. H., & Odom, S. L. (2014). Constructing single-case research designs: Logic and options. In T. R. Kratochwill & J. R. Levin (Eds. ), Single-case intervention research: Methodological and statistical advances (pp. 27-51). Washington, D C: American Psychological Association. Horowitz, K., & Marshall, M. M. (2005). Community violence and urban families: Experiences, effects, and directions for intervention. American Journal of Orthopsychiatry, 75(3), 356-368. Houts, A. C. Behavioral treatment of enuresis. In J. R. Weisz & A. E. Kazdin (Eds. ), Evidenced-based psychotherapies for children and adolescents (2nd Ed.) (pp. 359-374). New York, NY: Guilford Press. Howlin, P. (2011a). Which treatments may cause harm? In S. Bölte, & J. Hallmayer (Eds. ), Autism spectrum conditions (pp.164-166). Cambridge, MA: Hogrefe. Howlin, P. (2011b). Which ASC treatments are ineffective or lack a sound evidence base? In S. Bölte, & J. Hallmayer (Eds. ), Autism spectrum conditions (pp.162-163). Cambridge, MA: Hogrefe. Hsieh, A. L., & Bean, R. A. (2014). Understanding familial/cultural factors in adolescent depression: A culturally-competent treatment for working with Chinese American families. The American Journal of Family Therapy, 42(5), 398-412. doi:10.1080/01926187.2014.884414.
. Journal of Attention Disorders, (pp. 1-8). doi: 10.1177/1087054715577137. Huemer, S. V., & Mann, V. (2009). A comprehensive profile of decoding and comprehension in autism spectrum disorders. Journal of Autism and Developmental Disorders. Retrieved from www.springer.com. doi: 10.1007/s10803-009-0892-3. Hughes, C. W., & Melson, A. G. (2008). Child and adolescent measures for diagnosis and screening. In J. A. Rusch, M. B. First, & D. Blacker, Handbook of psychiatric measures (pp. 251-308). Washington, DC: American Psychiatric Press. Huq, N., Stein, G. L., & Gonzalez, L. M. (2016). Acculturation conflict among Latino youth: Discrimination, ethnic identity, and depressive symptoms. Cultural Diversity and Ethnic Minority Psychology, 22(3), 377-385. Hurt, E., & Arnold, L. E. (2015). Dietary management of ADHD. In R. A. Barkley (Ed. ), Attention-Deficit Hyperactivity Disorder: A Handbook for Diagnosis and Treatment (pp. 630-640). New York, NY: Guilford Press. Hymel, S., & Swearer, S. M. (2015). Four decades of research on bullying. American Psychologist, 70(4), 293-299. Ialongo, N., Poduska, J., Werthamer, L., & Kellam, S. (2001). The distal impact of two first-grade preventive interventions on conduct problems and disorder in early adolescence. Journal of Emotional and Behavioral Disorders, 9 (3), 146–160. Israel, A. C., & O’Leary, K. D. (1973). Developing correspondence between children’s words and deeds. Child Development, 44(3), 575-581. doi: 10.2307/1128015. Iwata, B. A., Dorsey, M. F., Slifer, K. J., Bauman, K. E., & Richman, G. S. (1994). Toward a functional analysis of self-injury. Journal of Applied Behavior Analysis, 27(2), 197–209. doi: 10.1901/jaba.1994.27-197. Iwata, B. A., & Dozier, C. L. (2008). Clinical application of functional analysis methodology. Behavior Analysis in Practice, 1(1), 3-9. Iwata, B. A., Pace, G. M., Kalsher, M. K., Crowdery, G. E., & Cataldo, M. F. (1990). Experimental analysis and extinction of self-injurious escape behavior. Journal of Applied Behavior Analysis, 23(1), 11-27. doi:10.1901/jaba.1990.23-11. Iwata, B. A., Zarcone, J. B., Vollmer, T. R., & Smith, R. G. (1994). Assessment and treatment of self-injury behavior. In E/ Schopler & G. B. Mezibov (Eds. ), Behavioral issues in autism (pp. 131-159). New York: Plenum. Jacobson, C. M., & Mufson, L. (2010). Treating adolescent depression using interpersonal psychotherapy. In J. R. Weisz & A. E. Kazdin (Eds. ), Evidenced-based psychotherapies for children and adolescents (2nd ed., pp. 140-155). New York, N.Y.: Guilford Press. Jessor, R., Turbin, M. S., & Costa, F. M. (1998). Protective factors in adolescent health behavior. Journal of Personality and Social Psychology, 75(3), 788-800. Johnston, C., & Chronis-Tuscano, A. (2015). Families and ADHD. In R. A. Barkley (Ed. ), Attention- deficit hyperactivity disorder: A handbook for diagnosis and treatment (4th ed. ), (pp. 191-209). New York, NY: Guilford Press. Jones, A. C. (1992). Self-esteem and identity in psychotherapy with adolescents from upwardly mobile middle-class African American families. In L. A. Vargas & J. D. Koss-Chioino (Eds. ), Working with culture: Psychotherapeutic interventions with ethnic minority children and adolescents (pp. 25-42). San Francisco, CA: Jossey-Bass. Jones, J. (2015). Culturally responsive interpersonal psychotherapy with children and adolescents. In H. T Prout & A. L. Fedewa (Eds. ), Counseling and psychotherapy with children and adolescents: Theory and practice for school and clinical settings (pp. 61-89). New York, NY: John Wiley & Sons. Jorm, A. F. (2012). Mental health literacy: Empowering the community to take action for better mental health. American Psychologist, 67(3), 231-243. doi: 10.1037/a0025957. Judd, S. J. (2013). Genetic disorders: Source book. Detroit, MI: Ommigraphics, Inc. Juul-Dam., Towsend, B., & Courchesne, E. (2001). Prenatal, Perinatal, and Neonatal Factors in Autism, Pervasive Developmental Disorder-Not Otherwise Specified, and the General Population. Pediatrics, 107 (4), 1-6. Kahng, S. W., Ingvarsson, E. T., Quigg, A. M., Seckkiner, K. E., & Teichman, H. M. (2011). Defining and measuring behavior. In W. W. Fisher, C. C. Piazza, & H. S. Roane (Eds. ), Handbook of applied behavior analysis (pp. 113-131). New York, NY: Guilford Press. Kail, R. V., & Cavanaugh, J. C. (2011). Human development: A life-span view (6th ed.). Belmont, CA: Wadsworth, Cengage Advantage Books. Kalidindi, S., & McGuffin, P. (2003). The genetics of affective disorders: Present and future. In R. Plomin, J. C., Defries, I. W. Craig, & P. McGuffin, Behavioral genetics in the postgenomic era (Eds. ), (pp, 481- 501). Washington, DC: American Psychological Association. Kantrowitz, B., & Scelfo, J. (2006, November 27). What happens when they grow up? Newsweek. Retrieved from: http://www.newsweek.com/autism-what-happens-when-they-grow-107237. Kaplan, H. I., & Sadock, B. J. (1998). Synopsis of psychiatry. Baltimore, MD: Williams and Wilkins. Kaslow, N. J. (2015). Translating psychological science to the public. American Psychologist, 70 (5), 361-371. http://dx.doi.org/10.1037/a003. Kazak, A. E., Hoagwood K., Weisz, J. R., Hood K., Kratochwill, T. R., Vargas, L. A., Banez, G. A. (2010). A meta- systems approach to evidence-based practice for children and adolescents. American Psychologist, 65(2), 85-97. doi: 10.1037/a0017784. Kazdin, A. E. (1988). Child psychotherapy: Developing and identifying effective treatments. New York: Pergamon Press. Kazdin, A. E. (2000). Psychotherapy for children and adolescents: Directions for research and practice. New York, NY: Oxford University Press. Kazdin, A. E. (2009). The Kazdin method for parenting the defiant child. New York, NY: Mariner Books. Kazdin, A. E. (2010). Problem-solving skills training and parent management training for oppositional defiant disorder and conduct disorder. In J. R. Weisz & A. E. Kazdin (Eds. ), Evidence-based psychotherapies for children and adolescents (2nd ed.) (pp. 211-226). New York, NY: Guilford Press. Kazdin, A. E. (2011). Evidence-Based Treatment Research: Advances, Limitations, and Next Steps. American Psychologist, 66(8), 685-698. http/dx.doi.org/1037/a0024975. Kazdin, A. E. (2013). The everyday parenting toolkit. New York, NY: Mariner Books. Keeling, R. P. (1998). Acculturation and Cultural Reframing: Society and Health Behavior Journal of American College Health, 47, (1), 7-9. Kendall, P. C. (Ed.). (2011). Child and adolescent therapy: Cognitive-behavioral procedures (4th Ed.). New York, NY: Guilford Press. Kennedy, C. H. (2010). Behavioral interventions. In R. C. Dryden- Edwards & L. Combrinck-Graham (Eds. ), Developmental disabilities from childhood to adulthood: What works for psychiatrists in community and institutional settings (pp.296-311). Baltimore, MD: Johns Hopkins University Press. Kim, E. (2011). Intergenerational acculturation conflicts and Korean American parents’ depression symptoms. Issues in Mental Health Nursing, 32(11), 687-695, doi: 19.3109/01612840.2991.597017. King, C. A., Foster, C. E., & Rogalski, K. M. (2013). Teen suicide risk: A practical guide to screening, assessment, and management. New York, NY: Guilford Press. Kinsella, M. T., & Monk, C. (2009). Impact of maternal stress, depression, and anxiety on fetal neurobehavioral development. Clinical Obstetrics and Gynecology, 52(3), 425-440. doi: 10.1097/GRF.0b013e3181b52df1. Klages, T., Geller, B., Tillman, R., Bolhofner, K., & Zimerman, B. (2005). Controlled study of encopresis and enuresis in children with a prepubertal and early adolescent bipolar –I disorder phenotype. Journal of the American Academy of Child and Adolescent Psychiatry, 44(10), 1050-1057. doi:10.1097/01.chi.0000172554.26349.dd. Klin, A., Volkmar, F. R., & Sparrow, S. S. (Eds.). (2000). Asperger syndrome. New York, NY: Guilford Press. Klomek, A. B., Sourander, A., Niemela, S., Kumpulainen, K., Piha, J., Tamminen, T.,…Gould, M. S. (2009). Childhood bullying behaviors as a risk for suicide attempts and completed suicide: A population-based birth cohort study. Journal of the American Academy of Child and Adolescent Psychiatry, 48(3), 254-261. doi: 10.1097/CHI.0b013e318196b91f. Knight, J. R., Sherritt, L., Shrier, L. A., Harris, S. K., & Chang, G. (2002). Validity of the CRAFFT substance abuse screening test among adolescent clinic patients. Archives of Pediatric Adolescent Medicine, 156(6), 607-614. Knott, F., Lewis, C., & Williams, T., (2007). Sibling interaction of children with autism: Development over 12 months. Journal of Autism & Developmental Disorders, 37(1), 1987-1995. 10.1007/s10803-006-0347-z. Kodak, T., & Grow, L. L. (2011). Behavioral treatment of autism. In W. Fisher, C. C. Piazza, & H. S. Roane (Eds. ), Handbook of applied behavior analysis (pp. 402-416). New York, NY: Guilford Press. Koegel, R. L., & Koegel, L. K. (2006). (Eds.). Pivotal Response treatments for autism: Communication, social, and academic development. Baltimore, MD: Paul H. Brookes. Koegel, R. L., & Koegel, L. K. (2012). The PRT pocket guide:Pivotal response treatment for autism spectrum disorders. Baltimore, MD: Paul H. Brooks Publishing. Koegel, R. L., Koegel, L. K., Vernon, T. W., & Brookman-Frazee, L. I. (2010). Empirically supported pivotal response treatment for children with autism spectrum disorders. In J. R. Weisz & A. E. Kazdin (Eds. ), Evidenced-based psychotherapies for children and adolescents (2nd ed.) (pp. 237-344). New York, NY: Guilford Press. Koegel, R. L., Rincover, A., & Egel, A. L. 1982). Educating and understanding autistic children. San Diego, CA: College Hill. Kokko, K., & Pulkkinene, L. (2000). Aggression in childhood and long-term unemployment in adulthood: A cycle of maladaptation and some protective factors. Developmental Psychology, 36(4), 463-472. doi: IO.I037//0012-1649.36.4.463. Kolevzon, A., Gross, R., & Reinchenberg, A. (2007). Prenatal and Perinatal Risk Factors for Autism: A Review and Integration of Findings. Achieves of Pediatric and Adolescent Medicine, 161(4), 326-333. doi:10.1001/archpedi.161.4.326. Kosterman, R., Hawkins, J. D., Spoth, R., Haggerty, K. P., & Zhu, K. (1997). Effects of a preventive parent-training intervention on observed family interactions: proximal outcomes from Preparing for the Drug Free Years. Journal of Community Psychology, 25(4), 337–352. doi: 10.1002/(SICI)1520-6629(199707). Kratochwill, T. (1981). Selective mutism: Implications for research and treatment. Hillsdale, NJ: Lawrence Erlbaum Associates. Kryzhanovskaya, L., & Centerbury, R. (2001). Suicidal behavior in patients with adjustment disorders. Crisis, 22(3), 125-131. doi:10.1027//0227-5910.22.3.125. Kuhn, B. R., Bethany, A. M., & Ptiner, S. L. (1999). Treatment guidelines for primary nonretentive encopresis and stool toileting refusal. American Family Physician, 59(8), 2171-2178. Kumpfer, K. L., Alvarado, R., Smith, P., & Bellamy, N. (2002). Cultural sensitivity in universal family-based prevention interventions. Prevention Science 3(3), 241–246. doi: 10.1023/A:1019902902119. Laecke, E. V. (2008). Elimination disorders in people with intellectual disability. Journal of Intellectual Disability Research, 52(10), 810. doi: 10.1111/j.1365-2788.2008.01118_2.x. LaFromboise, T. D., & Malik, S. S. (2016). A culturally informed approach to American Indian/Alaska Native youth suicide prevention. In N. Zane, G. Bernal, & F. T. L. Leong (Eds. ), Evidence-based psychological practice with ethnic minorities: Culturally informed research and clinical strategies (pp. 223-245). Washington, DC: American Psychological Association. Langridge, A. T., Glasson, E. J., Nassar, N., Jacoby, P., Pennell, C., Hagan, R., Bourke, J., Leonard, H., & Stanley, F. J. (2013) Maternal Conditions and Perinatal Characteristics Associated with Autism Spectrum Disorder and Intellectual Disability. PLoS ONE 8(1): e50963. doi:10.1371/journal.pone.0050963. Laor, N., Wolmer, L., Alon, M., Sieve, J., Samuel, E., & Toren, P. (2006). Risk and protective factors mediating psychological symptoms and ideological commitment of adolescents facing continuous terrorism. Journal of Nervous and Mental Disease, 194(4), 279-286. doi: 10.1097/01.nmd.0000207364.68064.dc. Laria, A. J., Lewis-Fernandez, R. (2015). Issues in the assessment and treatment of Latinos patients. In R. F. Lim (Ed. ), Clinical manual of cultural psychiatry (2nd Ed.) (pp. 183-249). Washington, DC: American Psychiatric Publishing. LaRue, R. H., Stewart, V., Piazza, C. C., Volkert, V. M., Paterl, M. R., & Zeleny, J. (2011). Escape as reinforcement and escape extinction in the treatment of feeding problems. Journal of Applied Behavior Analysis, 44) (4), 719-735. doi: 10.1901/jaba.2011.44-719. Lasson, H. J., Eaton, W. W., Madsen, K. M., Vestergaad, M., Olesen, A. V., Agerbo, E., Schendel, D., Thorsen, P., & Morteensen, P. (2005). Risk Factors for Autism: Perinatal Factors, Parental Psychiatric History, and Socioeconomic Status. American Journal of Epidemiology, 161(10), 916-925. doi: 10.1093/aje/kwi123. LeBeau, R. T., Glenn, D., Liao, B., Wittchen, H. U., Beesdo-Baum, K., Ollendick, T., & Craske, M. G. (2010). Specific phobia: A review of DSM-IV specific phobia and preliminary recommendations for DSM-V. Depression and Anxiety, 27(2), 148-167. doi: 10.1002/da.20655. Ledbetter, M. (2006). Atomoxetine: A novel treatment for children and adult ADHD. Neuropsychiatric Disease and Treatment, 2(4), 455-466. doi: 10.2147/nedt.2006.2.4.455. Lee, E. H., Zhou, Q., Ly, J., Main, A., Tao, A., & Chen, S. H. (2014). Neighborhood characteristics, parenting styles, and children’s behavioral problems in Chinese American immigrant families. Cultural Diversity and Ethnic Minority Psychology, 20(2), 202-212. doi:10.0037/a0034390. Leong, F. T. L., & Kalibatseva, Z. (2016). Threats to cultural validity in clinical diagnosis and assessment” Illustrated with the case of Asian Americans. In N. Zane, G. Bernal, & F. T. L. Leong (Eds. ), Evidence-based psychological practice with ethnic minorities: Culturally informed research and clinical strategies (pp. 57-74). Washington, DC: American Psychological Association. Leong, F. T. L., & Leach, M. M. (Eds.). (2008). Suicide among racial and ethnic minority groups. New York. NY: Routledge. Leong, F. T. L., & Leach, M. M. (2008). Suicide among racial and ethnic minority groups: An introduction. In F. T. Leong & M. M. Leach (Eds. ), Suicide among racial and ethnic minority groups (pp. 1-9). New York, NY: Routledge. Lerman, D. C., & Toole, L. M. (2011). Developing function-based punishment procedures for problem behavior. In W. W. Fisher, C. C. Piazza, & H. S. Roane (Eds. ), Handbook of applied behavior analysis (pp. 348-369). New York, NY: Guilford Press. Lester, D. (2008). Theories of suicide. In F. T. Leong & M. M. Leach (Eds. ), Suicide among racial and ethnic minority groups (pp. 39-53). New York: Routledge. Letamendi, A. M., Chavira, D. A., Hitchcock, C. A., Roesch, S. C., Shipon-Blum, E., & Stein, M. B. (2008). Selective Mutism Questionnaire: Measurement Structure and Validity. Journal of the American Academy of Child and Adolescent Psychiatry, 47(10), 1197-1204. doi: 10.1097/CHI.0b013e3181825a7b. Leventhal, A. M., Strong, D. R., Kirkpatrick, M. G., Unger, J. B., Sussman, S., Nathaniel, R., Riggs, N. R., Audrain-.McGovern, N. R. (2015). Association of electronic cigarette use with initiation of combustible tobacco product smoking in early adolescence. JAMA, 314(7), 700-707. doi:1001/jama.2015.8950. Levinson, C. A., Zerwas, S., Calebs, B., Forbush, K., Kordy, H., Watson, H., … Bulik, C. M. (2017). The core symptoms of bulimia nervosa, anxiety, and depression: A network analysis. Journal of Abnormal Psychology, 126(3), 340-353. Levy, Y., Levy, A., Zangen, T., Kornfeld, L., Dalal, I., Samuel, E., Levine, A. (2009). Diagnostic clues for identification of nonorganic vs organic causes of food refusal and poor feeding. Journal of Pediatric Gastroenterology and Nutrition, 48(3), 355-362. doi: 10.1097/MPG.0b013e31818b1936. Liddle, H. A. (2002). Multidimensional family therapy for adolescent cannabis users. Substance Abuse and Mental Service Administration. DHHS Publication No. (SMA) 02-3660. http://adaiclearinghouse.org/downloads/Multidimensional-Family-Therapy-for-adolescent-Cannabis-Users-207.pdf. Liddle, H. A. (2010). Treating adolescent substance abuse using multidimensional family therapy. In J. R. Weisz & A. E. Kazdin (Eds. ), Evidence-based psychotherapies for children and adolescents (2nd Ed.) (pp. 416-432). New York, NY: Guilford Press. Liddle, H. A. (2013). Multidimensional family therapy for adolescent substance abuse: A developmental approach. http://www.mdft.org/mdft/media/files/MDFT-for-adolescent-Substance-Abuse-In-Innovations-for-Addiction-(2013)(1).pdf. Liebert, R. M., Poulos, R. W., & Strauss, G. D. (1974). Developmental psychology. Englewood Cliffs, NJ: Prentice-Hall. Little, S. G., Akin-Little, A., & Richards, T. L. (2006). Learning disorders. In J. E. Fisher & & M. T. ’Donohue (2006) (Eds. ), Practitioner’s guide to evidence-based psychotherapy (pp. 368-376). New York, NY: Springer. Lock, J. (2012) (Ed.). The Oxford handbook of child and adolescent eating disorders. New York, NY: Oxford University Press. Lochman, J. E., Dane, H. E., Magee, T. N., Ellis, M., Pardin, D. A., & Clanton, N. R. (2001). Disruptive behavior disorders: Assessment and intervention. In H. B. Vance & A. J. Pumariega (Eds. ), Clinical assessment of children and adolescent behavior (pp. 231-262)). New York, NY: John Wiley & Sons. Lochman, J. E., & Wells, K. C. (2002). The Coping Power Program at the middle-school transition: Universal and indicated prevention effects. Psychology of Addictive Behaviors, 16(4, Suppl): S40–S54. Lonczak, H. S., Abbott, R. D., Hawkins, J. D., Kosterman, R., & Catalano, R. F. (2002). Effects of the Seattle Social Development Project on sexual behavior, pregnancy, birth, and sexually transmitted disease outcomes at age 21 years. Archives of Pediatric and Adolescent Medicine, 156(5), 438–447. doi:10.1001/archpedi.156.5.438. Lord, C., Risi, S., Lambrecht, L., Cook, E. H., Leventhal, B. L., DiLavore, P. C., Pickles, A., & Rutter, M. (2000). The autism diagnostic observation schedule-generic: a standard measure of social and communication deficits associated with the spectrum of autism. Journal of Autism and Developmental Disorders, 30(3), 205-230. doi:10.1023/A:1005592401947. Lovaas, O. I., Cross, S., & Revlin, S. (2006). Autistic disorder. In J. E. Fisher & & W. T. O’Donohue (2006) (Eds. ), Practitioner’s guide to evidence-based psychotherapy (pp. 101-114). New York, NY: Springer. Lovaas, O. I., & Simmons, J. Q. (1969). Manipulation of self-destruction in three mentally retarded children. Journal of Applied Behavior Analysis, 2(3), 143-157. doi: 10.1901/jaba.1969.2-143. Lu, S. (2016, September). Iowa psychologists can now prescribe. Monitor on Psychology, p.30. Lyon, C., & Schnall, J. (2005). What is the best treatment for nocturnal enuresis in children. Journal of Family Practice, 54(10), 905-909. Margolin, G. (2008). The effects of family and community violence on children. Annual Review of Psychology, 51, 445-479. Marshall, W. I., & Barbaree, H. E. (1991). Personality, impulse control, and adjustment disorders. In M. Hersen & S. Turner (Eds. ), (2nd Ed.). Adult psychopathology & diagnosis (pp. 360-391). New York, NY: John Wiley & Sons. Mash, E. J. (2006). Treatment of child and family disturbance: A cognitive-behavioral system perspective. In E. J. Mash & R. A. Barkley (Eds. ), Treatment of childhood disorders (pp. 3-62) (3rd Ed.). New York, NY: Guilford Press. Mash, E. J., & Barkley, R. A. (Eds.). (2006). Treatment of childhood disorders. (3rd ed.). New York, NY: Guilford Press. Mastergeorge, A. M., Rogers, S. J., Corbett, B. A., & Solomon, M. (2003). Nonverbal interventions for autism spectrum disorders. In S. Ozonoff, S. J. Rogers, & Robert, L. Hendren (Eds. ), Autism spectrum disorders (133-160). Washington, DC: American Psychiatric Publishing. Matthews, K. A., Jennings, J. R., Lee, L., & Pardini, D. A. (2017). Bullying and being bullied in childhood ae associated with different psychosocial risk factors for poor physical health in men. Psychological Science, 28(6), 808-821. Matson, J. L. (2009). (Ed.). Applied Behavior Analysis for Children with Autism Spectrum Disorders. New York, NY: Springer. Matson, J. L., & Coe, D. A. (1991). Mentally retarded children. In T. T. Kratochwill & R. J. Morris (eds. ), The practice of child therapy (pp. 298-327). New York: Pergamon Press. Matson, J. L., Andrasik, F., & Matson, M. L. (2009) (Eds. ), Treating childhood psychopathology and developmental disabilities. New York, NY: Springer. Maurice, C., Green, G., & Luce, S. C. (1996) (Eds.). Behavioral intervention for young children with autism: A manual for parents and professionals. Austin, Texas: Pro-ed. McDougall, P., & Vaillancourt, T. (2015). Long-term adult outcomes of peer victimization in childhood and adolescence. American Psychologist, 70(4), 200-310. http://dx.doi.10r/10.1037/a0039174. McHugh, R. K., & Barlow, D. H. (2010). Dissemination and implementation of evidence-based psychological interventions: A review of current efforts. American Psychologist, 65(2), 73-84. doi: 10.1037/a0018121. McLaughlin, K. A., Koerene, K. C., Hill, E. D., Petukhova, M., Sampson, N. A., Zaslavasky, A. M., & Kessler, R. C. (2013). Trauma Exposure and Posttraumatic Stress Disorder in a National Sample of Adolescents. Journal of the American Academy of Child and Adolescent Psychiatry, 52(8), 815-830. doi: 10.1016/j.jaac.2013.05.011. McMahon, R. J., Wells, K. C., & Kotler, J. S. (2006). Conduct problems. In E. J. Mash & R. A. Barkley (Eds. ), Treatment of childhood disorders (pp. 137-268) (3rd ed.). New York, NY: Guilford Press. Meier, M. H, Caspi, A., Ambler, A., Harrington, H., Houts, R., Keefe, R. S. E.,… Moffitt, T. E. (2012). Persistent cannabis users show neuropsychological decline from childhood to midlife. Proceedings of the National Academy of Sciences 109, E2657–E2664. Mellon, M. W., Natchev, B. E., Katusic, S. K., Colligan, R. C., Weaver, A. L., Voight, R. G., & Barbaresi, W. J. (2013). Incident of enuresis and encopresis among children with attention-deficit/hyperactivity disorder in a population-based birth cohort. Academic Pediatrics, 13(4), 322-3227. doi: 10.1016/j.acap.2013.02.008. Merikangas, K. R., He, J., Burstein, M., Swanson, S., Avenevoli, S., Cui, L., Benjet, C., Georgiades, K., & Swendsen, J. (2010). Lifetime prevalence of mental disorders in U. S. adolescents: Results from the National Comorbidity Study-Adolescent Supplement (NCS-A). Journal of the American Academy of Child and Adolescent Psychiatry, 49(10), 980-989. doi:10.1016/j.jaac.2010.05.017. Merikangas, K. R., Jin R., He., J, Kessler., R. C., Lee, S., Sampson, B. A., Zarkov, Z. (2011). Prevalence and Correlates of Bipolar Spectrum Disorder in the World Mental Health Survey Initiative. Archives of General Psychiatry, 68(3), 241-251. doi:10.1001/archgenpsychiatry.2011.12. Merikangas, K. R., & Swendsen, J. D. (1997). Genetic epidemiology of psychiatric disorders Epidemiologic Review, 19(1), 144-155. doi: 10.1093/oxfordjournals.epirev.a017937. Micali, N., Simonoff, E., & Treasure, J. (2009). Infant feeding and weight in the first year of life in babies of women with eating disorders. Journal of Pediatrics, 154(1), 55-60. doi: 10.1016/j.jpeds.2008.07.003. Mikkelsen, E. J. (2001). Enuresis and encopresis: Ten years of progress. Journal of the American Academy of Child and Adolescent Psychiatry, 40(10), 1146-1158. Miklowitz, D., & Chang, K. D. (2008). Prevention of bipolar disorder in at risk children: Theoretical assumptions and empirical foundations. Developmental Psychopathology, 20(3), 881-897. doi: http://dx.doi.org/10.1017/S0954579408000424. Miller, C. K. (2009). Updates on pediatric feeding and swallowing problems. Current Opinion in Otolaryngology & Head and Neck, 17(3), 194-199. doi: 10.1097/MOO.0b013e32832b3117. Miller, M. N., & Pumariega, A. J. (2001). Culture and Eating Disorders: A Historical and cross-cultural review. Psychiatry: Interpersonal and Biological Processes, 64 (June), 93-110. doi: 10.1521/psyc.64.2.93.18621. Miller, T. (2013, August 8). Dr. Sanjay Gupta comes out in support of medical marijuana: “We have been terrible and systematically mislead.” Daily News. http://www.nydailynews.com/life-style/health/dr-sanjay-gupta-support-medicinal-marijuana-article-1.1421757. Miltenberger, R. G., & Gross, A. C. (2014). Teaching safety skills to children. In W. Fisher, C. C. Piazza, & H. S. Roane (Eds. ), Handbook of applied behavior analysis (pp. 417-432). New York, NY: Guilford Press. Minde, K., & Minde, R. (1986). Infant psychiatry: An introductory textbook. Beverly Hills, CA: Sage Publications. Ming, X., Brimacombe, M., & Wagner, G. C. (2007). Prevalence of motor impairment in autism spectrum disorders. Brain and Development, 29(9), 565-570. doi: 10.1016j.braindev.2007.03.002. Mitchell, K. J., Jones, L. M., Turner, H. A., Shattuck, A., & Wolak, J. (2015). The Role of Technology in Peer Harassment: Does It Amplify Harm for Youth? Psychology of Violence, 6(2), 193-204. doi: 10.1037/a0039317. Monastra, V. J., (2014). Parenting children with ADHD: 10 lessons that medicine cannot teach. Washington, DC: American Psychological Association. Monshouwek, K., Van Dorsselaer, S., Verdurmen, J., Bogt, T. T., De Graaf, R., & Volleberght, W. (2001). Cannabis use and mental health in secondary school children: Findings from a Dutch survey. British Journal of Psychiatry, 188, 148-53. Moore, M., Taylor, H. G., Klein, N., Munich, N., & Hack, M. (2006). Longitudinal changes in family outcomes of very low birth weight. Journal of Pediatric Psychology, 31(10), 1024-1035. doi:10.1093/jpepsy/jsj075. Moreland, P., Brown, D. L., & Corcoran, C. (2009). A 5-week-old infant with lethargy, irritability, poor feeding, and vomiting. Journal of Emergency Nursing, 35(1), 43-45. http://dx.doi.org/10.1016/j.jen.2007.12.013. Moreno, C., Laje, G., Blanco, C., Jiang, H., Schmidt, A. B., & Olfson, M. (2007). National trends in the outpatient dagnosis and treatment of bipolar disorder in youth. Archives General Psychiatry, 64(9), 1032–1039. doi:10.1001/archpsyc.64.9.1032. Morris, E. K. (2009). A case study in the misrepresentation of applied behavior analysis in autism: The Gernsbacher lectures. The Behavior Analyst, 32(1), 205-240. Morris, E. K., Altus, D. E., & Smith, N. G. (2013). A Study in the founding of applied behavior analysis through its publications. The Behavior Analyst, 36(1), 73–107. Morris, R. J., & Brown, D. K. (1983). Legal and ethical issues in behavior modification with mentally retarded persons. In J. L. Matson & F. Andrasick (eds. ), Treatment issues and innovations in mental retardation (pp. 61-95). New York, NY: Plenum Press. Mruzek, D. W., Cohen, C., & Smith, T. (2007). Contingency contracting with students with autism spectrum disorders in a public school setting. Journal of Developmental Disabilities, 19(2), 103-114. doi: 10.1007/s10882-007-9036-x. Muñoz, R. F., Beardslee, W. R., & Leykin, Y. (2012). Major depression can be prevented. American Psychologist, 67(4), 285-295. doi: 10.1037/a0027666. Nader, K. (1996). Psychometric review of Childhood PTS Reaction Index (CPTS-RI). In B. H. Stamm (Ed. ), Measurement of stress, trauma, and adaptation (pp. 83-86). Lutherville, MD: Sidran Press. Nader, K. O. (2004). Assessing traumatic experiences in children and adolescents: Self-reports of DSM PTSD Criteria B-D symptoms. In J. Wilson & T. Keane (Eds. ), Assessing psychological trauma and PTSD, 2nd ed. (pp. 513-537). New York: Guilford Press. Nader, K., Kriegler, J. A., Blake, D. D., Pynoos, R. S., Newman, E., & Weathers, F. W. (1996). Clinician- Administered PTSD Scale, Child and Adolescent Version. White River Junction, VT: National Center for PTSD. Nangle, D. W., Hansen, D. J., Grover, R. L., Kingery, J. N., & Suveg, C. (2006). Treating internalizing disorders in children and adolescents: Core techniques and strategies. New York, NY: Guilford Press. Naoi, N. (2009). Intervention and treatment methods for children with autism spectrum disorder. In J. L. Matson (Ed. ), Applied behavior analysis for children with autism spectrum disorders (pp. 67-81). New York, NY: Springer. National Academy of Sciences (2001). Educating children with autism. Washington, DC: National Academy Press. Author. National Cancer Institute (2014). Cannabis and cannabinoids (PDQ®). National Center for PTSD (2014). Treatment of PTSD. Washington, DC: Department of Veterans Affairs. Author. (http://www.ptsd.va.gov/public/treatment/therapy-med/ treatment-ptsd.asp). National Center for PTSD (2015a). Child Measures of Trauma and PTSD. http://www.ptsd. National Center for PTSD (2015b). DSM-5 criteria for PTSD. http://www.ptsd.va. National Center for PTSD (2015c). PTSD in Children and Teens. http://www.ptsd.va. National Center for Study of Corporal Punishment and Alternatives in Schools (1992). My Worst Experiences Survey. Philadelphia, PA: Temple University Press. National Crime Prevention Council (2015). Cyberbullying. Retrieved from http://www.ncpc. National Institute of Environmental Health Sciences (2014). Autism. http://www.niehs.nih. National Institute of Health (2011). Eating disorders. Retrieved from http://www.nimh.nih. National Institute on Drug Abuse. (2003). (2nd ed.). Prevention of drug use among children and adolescents. http://www.drugabuse.gov/sites/default/files/preventingdruguse_2.pdf. National Institute on Drug Abuse. (2009). Drug Facts: Treatment Approaches for Drug Addiction. http://www.drugabuse.gov/publications/drugfacts/treatment-approaches-drug-addiction. National Institute on Drug Abused. (2014a). Monitoring the future 2014 teen drug use. http://www.drugabuse.gov/related-topics/trends-statistics/infographics/monitoring-future- 2014-survey-results. National Institute on Drug Abuse (2014c). Drug facts: Tobacco, nicotine, & E-cigarettes. https://www.drugabuse.gov/publications/drugfacts/electronic-cigarettes-e-cigarettes. National Institute on Drug Abuse (2014d). Drug facts-Marijuana. http://teens.drugabuse. National Institute on Drug Abuse (2014e). NIDA for teens. Retrieved from http://teens.drugabuse.gov/. National Institute on Drug Abuse (2015a).What is medical marijuana? http:// www.drugabuse.gov/publications/drugfacts/marijuana-medicine. National Institute on Drug Abuse (2015b). Fact Sheet: Promoting awareness of motivational incentives. http://www.drugabuse.gov/sites/default/files/files/PAMI_Factsheet.pdf. National Institute of Mental Health (2004). Autism spectrum disorders (pervasive developmental disorders). Bethesda, MD: Author. (www.nimh.nih.gov). National Institute of Mental Health (2007). Generalized anxiety disorder. NIH Publication No. 07-4677. from http://www.nimh.nih.gov/health/publications/generalized-anxiety-disorder-when-worry-gets-out-of- control/index.shtml. National Institute of Mental Health (2008). Mental health medications. http://www.nimh.nih.gov/health/publications/mental-health-medications/index.shtml. National Institute of Mental Health (2009a). Treatment of children with mental illness: Frequently asked questions about the treatment of mental illness in children NIH Publication No. 09-4702. http://www.nimh.nih.gov/health/publications/treatment-of-children-with-mental-illness-fact-sheet/index.shtml. National Institute of Mental Health (2009c). Suicide in the U.S.: Statistics and prevention. Publication No. 06-4594. http://adhdclinic.com/health_topics/suicide_prevention/suicide-in-the-us.html. National Institute of Mental Health (2010). Mental health medications. U. S. Department of Health and Human Services. NIH Publications No. 12-3929. Bethesda, MD. Author. National Institute of Mental Health (2011a). A Parent’s Guide to Autism Spectrum Disorder. https://www.autism-watch.org/general/nimh.pdf. National Institute of Mental Health (2011b). Eating disorders: About more than food. http://infocenter.nimh.nih.gov/nimh/product/Eating-Disorders/NIH%2011-4901. National Institute of Mental Health (2012). Social brain circuits disrupted in autism. http://www.nimh.nih.gov/news/science-news/2012/social-brain-circuits-disrupted-in-autism.shtml. National Institute of Mental Health (2013a). Generalized anxiety disorder (GAD): When worry gets out of control. http://www.nimh.nih.gov/health/publications/generalized-anxiety-disorder-gad/index.shtml. National Institute of Mental Health (2013b). Social phobia (social anxiety disorder: Always embarrassed. http://www.nimh.nih.gov/health/publications/social-phobia-social-anxiety-disorder- always-embarrassed/index.shtml. National Institute of Mental Health (2014c). Bipolar disorder in children and teens (Easy to Read). 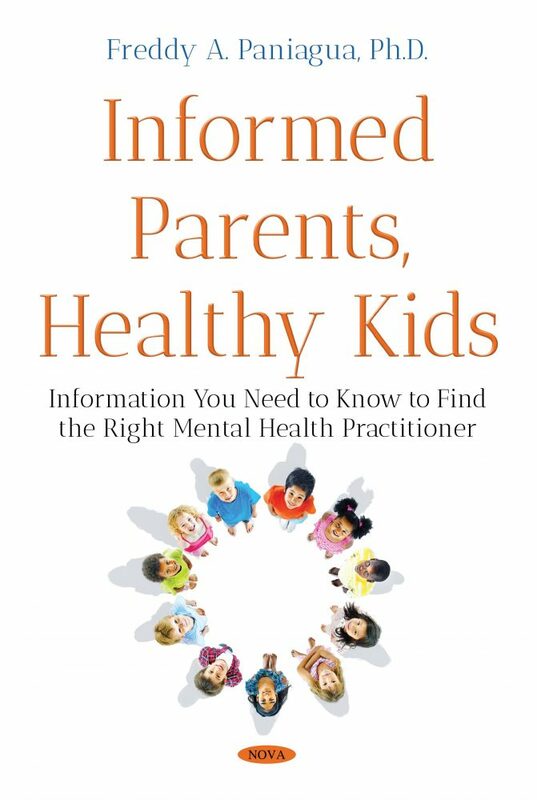 http://www.nimh.nih.gov/health/publications/bipolar-disorder-in-children-and-teens- easy-to-read/index.shtml. National Institute of Mental Health (2014d). Bipolar disorder in children and adolescents. http://www.nimh.nih.gov/health/publications/bipolar-disorder-in-children-and-adolescents/index.shtml. Neher, L. S., & Short, J. L. (1998). Risk and protective factors for children substance use and antisocial behavior following parental divorce. American Journal of Orthopsychiatry, 68(1) 154-161.doi: 10.1037/h0080281. Neidert, P. L., Dozier, C. L., Iwata, B. A., & Hafen, M. (2010). Behavioral analysis in intellectual and developmental disabilities. Psychological Services, 7, 103-113. New York Department of Health (2011). Quick reference guide for parents and professional: Autism/pervasive developmental disorders-Assessment and intervention for young children (age 0-3 years). http://www.health.ny.gov/publications/4216.pdf. Newcorn, J. H., Sutton, V. K., Weiss, M. D., & Sumner, C. R. (2009). Clinical responses to atomoxetine in attention-deficit/hyperactivity disorder: the Integrated Data Exploratory Analysis (IDEA) study. Journal of the American Academy of Child and Adolescent Psychiatry, 48(5), 511-518. doi: 10.1097/CHI.0b013e318195b2. Newman, L., & Mares, S. (2007). Recent advances in the theories of and interventions with reactive attachment disorders. Current Opinion in Psychiatry, 20(4), 343-348.doi: 10.1097/YCO.0b013e3281bc0d08. Newsom, C., & Hovanitz, C. A. (2006). In E. J. Mash & R. A. Barkley (Eds.) (3rd ed. ), Treatment of childhood disorders (pp. 455-511). New York, NY: Guilford Press. Newsom. C., Rincover, A. (1989). Autism. In E. J. Mash & R. A. Barkley (Eds. ), Treatment of childhood disorders (pp. 286-346). New York, NY: Guilford Press. Nock, M. K., & Favazza, A. R. (2009). Nonsuicidal self-injury: Definition and classification. In M. K. Nock (Ed. ), Understanding nonsuicidal self-injury: Origins, assessment and treatment. (pp. 9-18). Washington, DC: American Psychological Association. Noell, G. H., Call, N. A., & Ardoin, S. P. (2011). Building complex repertoires from discrete behaviors by establishing stimulus control, behavioral chains, and strategic behavior. In W. W. Fisher, C. C. Piazza, & H. S. Roane (Eds. ), Handbook of applied behavior analysis (pp. 250-269). New York, NY: Guilford Press. Nordal, K. C. (2014). ICD implementation: Aim for the moving target. Monitor on Psychology, 45(6), pp. 49. North Carolina Division of Social Services and the Family and Children’s Resource Program (June 2015). Preventing PTSD in children. Children’s services Practice Notes, Vol. 10. No.3. http://www.practicenotes.org/vol10_n3/prevent.htm. Novotney, A. (2014, November). Family dinners may help kids cope with cyberbullying. Monitor on Psychology, 45(10), p. 17. Novotney, A. (2015, June). Rates of attention-deficit hyperactivity disorder (ADHD) appears to decease at higher altitudes. Monitor on Psychology, 46(6), p. 19. O’Connell, M. A., Boat, T., & Warner, E. (2009) (Eds.). Preventing mental, emotional, and behavioral disorders among young people: Progress and possibilities. Washington, DC: National Academies Press. Ohan, J. L., Myers, K., Collett, B. R. (2002). Ten-year review of rating scales. IV: Scales assessing trauma and its effects. Journal of the American Academy of Child and Adolescent Psychiatry, 41(12), 1401-22. Okun, B. F. (1996). Understanding diverse families: What practitioners need to know. New York, NY: Guilford Press. Oppenheim-Leaf, M., Leaf, J. B., Dozier, C., Sheldon, J., & Sherman, J. (2012). Teaching typically developing children to promote social play with their siblings with autism. Research in Autism Spectrum Disorders, 6(2), 777-791. doi:10.1016/j.rasd.2011.10.010. Ozonoff, S., Rogers, S. J., & Hendren, R. L. (2003). Autism spectrum disorders: A research review for practitioners. Washington, DC: American Psychiatric Publishing. Pallanti, S., Bencini, L., Cantisani, A., & Hollander, E. (2015). Psychotropic treatment of autism. In M. Leboyer & P. Chaste (Eds. ), Autism spectrum disorders: Phenotypes, mechanisms and treatment (pp.151-165). Basel, Switzerland: Karger. Paniagua, F. A. (1985). Development of self‑care skills and helping behaviors of adolescents in a group home through correspondence training. Journal of Behavior Therapy and experimental psychiatry, 16 (3), 237‑244. doi:10.1016/0005-7916(85)90069-2. Paniagua, F. A. (1987). Management of hyperactive children through correspondence training procedures: A preliminary study. Behavioral Residential Treatment, 2(1), 1-23. doi: 10.1002/bin.2360020102. Paniagua, F. A. (1988). A primer for conducting child and adolescent treatment research [Review of Child Psychotherapy: Developing and Identifying Effective Treatment.] Contemporary Psychiatry, 7, 262‑266. Paniagua, F. A. (1989a). Lying by children: Why children say one thing, do another? Psychological Reports, 64, 971‑984. doi: 10.2466/pr0.1989.64.3.971. Paniagua, F. A. (1989b). Children under stress: An international perspective [Review of the book .The child in his family-perilous development: Child raising and identity formation under stress, edited by E. James Anthony & Colette Chiland.] Contemporary Psychiatry, 8(2), 127-128. Paniagua, F. A. (1990). A procedural analysis of correspondence training techniques. The Behavior Analyst, 13(2), 107‑119. Paniagua, F. A. (1992). Verbal-nonverbal correspondence training with ADHD children. Behavior Modification, 16(2), 226-252. doi: 10.1177/01454455920162005. Paniagua, F. A. (1997). Verbal‑nonverbal training as a case of environmental antecedents. In D. M. Baer & Elsie Pinkston (Eds. ), Environment and Behavior (pp. 43-48). Boulder, Colorado: West View Press. Paniagua, F. A. (1998). Correspondence training and verbal mediation. In J. K. Luiselli &M. J. Cameron (Eds. ), Antecedent control procedures for behavioral support of persons with developmental disabilities (pp. 223-242). Baltimore, MD: Paul H. Brooks Publishing Company. Paniagua, F. A. (2001a). Diagnosis in a multicultural context: A casebook for mental health professionals. Thousand Oaks, CA: Sage Publications. Paniagua, F. A. (2001b). Functional analysis and behavioral assessment of children and adolescents. In H. B. Vance & A. J. Pumariega (Eds. ), Clinical assessment of children and adolescent behavior (pp. 32-85). New York, NY: John Wiley & Sons. Paniagua, F. A. (2004). Utility of verbal-nonverbal correspondence training techniques in outpatient pediatric settings. Psychological Reports, 94, 317-326. doi: 10.2466/ pr0.94.1.317-326. Paniagua, F. A. (2006). Tricks. Bloomington, IN: AuthorHouse. Paniagua, F. A. (2008). The “gold standard” assumption in randomized control trials [Review of the book Evidence-based outcome research: A practical guide to conducting randomized controlled trials for psychosocial interventions, by A. M. Nezu & M. Nezu, Eds.] PsyCritiques: Contemporary Psychology-APA Review of Books, March 19, Vol. 53, Release 12, Article 1. doi: 10.1037/a0011472. Paniagua, F. A. (2010). Assessment and diagnosis in a multicultural context. In M. L. Leach & J. Aten (Eds. ), Culture and the therapeutic process: A guide for mental health professionals (pp. 65-98). New York: Taylor & Francis. Paniagua, F. A. (2011). The ICD revision. Monitor on Psychology, 242 (2), p. 2. Paniagua, F. A. (2013). Culture-bound syndromes, cultural variations, and psychopathology. In F. A. Paniagua & Ann-Marie Yamada (Eds. ), Handbook of multicultural mental health: Assessment and treatment of diverse populations (2nd Ed.) (pp. 25-47). San Diego, CA: Academic Press. Paniagua, F. A. (2014). (4th ed.) Assessing and treating culturally diverse clients: A practical guide. Thousand Oaks, CA: Sage Publications. Paniagua, F. A. (2016). ICD-10 for billing versus DSM-5 for diagnosing: A commentary on litigation and legislation. International Journal of Psychology Research, 11(2), 85-106. Paniagua, F. A. (2017). Separate or divorce the way you got together: Happy! College Station, TX: Virtual Book Worm Publishing. Paniagua, F. A., & Baer, D. M. (1981). A procedural analysis of the symbolic forms of behavior therapy. Behaviorism, 9(2), 171-205. Paniagua, F. A. & Baer, D. M. (1982). The analysis of correspondence training as a chain reinforceable at any point. Child Development, 53(3), 786‑798. doi: 10.2307/1129393. Paniagua, F. A., & Black, S. A. (1990). Management and Prevention have hyperactive and conduct disorders in 8‑10 year old boys through correspondence training procedures. Child & Family Behavior Therapy, 12(1), 23‑56. doi: 10.1300/J019v12n01_03. Paniagua, F. A., & Black, S. A. (1992). Correspondence training and observational learning in the management of hyperactive children: A preliminary study. Child and Family Behavior Therapy, 14(3), 1‑19. doi:10.1300/J019v14n03_01. Paniagua, F. A. Black, S. A., Hidalgo, G., Hernández, C. R., & Serrata, T. (2015). Dominican psychology students’ opinions on prescription authority for psychologists: A preliminary study. International Journal of Psychology Research, 10(4), 339-359. Paniagua, F. A., Braverman, C., & Capriotti, R. M. (1986). Use of a treatment package in the management of a profoundly mentally retarded girl’s pica and self-stimulation. American Journal of Mental Deficiency, 90(5), 550-557. Paniagua, F. A., Morrison, P. B., & Black, S. A. (1990). Management of a hyperactive‑conduct disordered child through correspondence training: A preliminary study. Journal of Behavior Therapy and Experimental Psychiatry, 21(1), 63‑68. doi:10.1016/0005-7916(90)90050-U. Paniagua, F. A., Pumariega, A. J., & Black, S. A. (1988). Clinical effects of correspondence Training in the management of hyperactive children. Behavioral Residential Treatment, 3(1), 19‑40. doi:10.1002/bin.2360030103. Paniagua, F. A., & Saeed, M. A. (1987). Labeling and functional language in a case of psychological mutism. Journal of Behavior Therapy & Experimental Psychiatry, 18(3), 259-267. doi:10.1016/0005-7916(87)90009-7. Paniagua, F. A., & Saeed, M. A. (1988). A procedural distinction between elective and progressive mutism. Journal of Behavior Therapy & Experimental Psychiatry, 19(3), 207-210. doi:10.1016/0005-7916(88)90042-0. Paniagua, F. A., Stella, M. E., Holt, W. J., Baer, D. M., & Etzel, B. C. (1982). Training correspondence by reinforcing intermediate and verbal behavior. Child and Family Behavior Therapy, 4 (2-3), 127‑139. doi: 10.1300/J019v04n02_14. Paniagua, F. A., & Yamada, Ann-Marie (2013) (Eds.). Handbook of multicultural mental health: Assessment and treatment of diverse populations (2nd ed.). San Diego, CA: Academic Press. Parker, F. L., Piorkowski, C. S., & Peay, L. (1987). Head Start as a social support for mothers: The psychological benefits of involvement. American Journal of Orthopsychiatry, 57, 220-233. Patchin, J. W., & Hinduja, S. (2013). Cyberbullying among Adolescents: Implications for Empirical Research. Journal of Adolescent Health 53 (4), 431-432.doi: 10.1016/j.jadohealth.2013.07.030. Paxton, G. A., & Cranswick, N. E. (2008). Acute suicidality after commencing atomoxetine. Journal of Paediatric Child Health, 44(10), 596-598. doi: 10.1111/j.1440-1754.2008.01389.x. Pelham, W. E., & Waschbusch, D. (2006). Attention-deficit hyperactivity disorder. In J. E. Fisher & W. T. O’Donohue (2006) (Eds.). Practitioner’s guide to evidence-based psychotherapy (pp. 93-100). New York, N. Y.: Springer. Pelkonen, M., Marttunen, M., Henriksson, M., & Lonngvist, J. (2005). Suicidality in adjustment disorder--clinical characteristics of adolescent outpatients. European Child & Adolescent Psychiatry, 14(3), 174-180. doi: 10.1007/s00787-005-0457-8. Pericak-Vance, M. A. (2003). The genetics of autistic disorder. In R. Plomin, J. C., Defries, I. W. Craig, & P. McGuffin (Eds. ), Behavioral genetics in the postgenomic era (eds. ), (pp, 267-288). Washington, DC: American Psychological Association. Petry. N. M. (2002). A comparison of young, middle-aged, and older adult treatment-seeking pathological gamblers. Gerontologists, 42 (1), 92-99. Philichi, L. (2008). When the going gets tough: Pediatric constipation and encopresis. Gastroenterology Nursing, 31(2), 121-130. doi: 10.1097/01.SGA.0000316531.31366.27. Piko, B. F., & Fitzpatrick, K. M. (2003). Depressive symptomatology among Hungarian youth: A risk and protective factors approach. American Journal of Orthopsychiatry, 73(1), 44-54. doi: 10.1037/0002- 9432.73.1.44. Pliszka, S. A. (2015). Comorbid of psychiatric disorders in children with ADHD. In R. A. Barkley (Ed. ), Attention- deficit hyperactivity disorder: A handbook for diagnosis and treatment (4th ed. ), (pp. 140-168). New York, NY: Guilford Press. Plomin, R., Defries, J. C., Craif, I. W., & McGuffin, P. (Eds.). (2003). Behavioral genetics in the postgenomic era. Washington, DC: American Psychological Association. Portes, V., Hagerman, R. J., & Hendren, R. L. (2003). Pharmacotherapy. In S. Ozonoff, S. J. Rogers, & Robert L. Hendren (Eds. ), Autism spectrum disorders: A research review for practitioners. (161-186). Washington, DC: American Psychiatric Publishing. Prakash, J., Sudarsanan, S., & Prabhu, H. R. A. (2007). Study of Behavioural Problems in Mentally Retarded Children. Delhi Psychiatry Journal, 10(1), 40-45. Prevention Magazine. (2015). Major depression. http://www.prevention.com/health-conditions/major-depression. Prout, H. T., & Fedewa, A. L. (2015). Counseling and psychotherapy with children and adolescents: Historical: Developmental, integrative, and effectiveness perspectives. In H. T Prout & A. L. Fedewa (Eds. ), Counseling and psychotherapy with children and adolescents: Theory and practice for school and clinical settings (pp. 1-24). New York, NY: John Wiley & Sons. Pumariega, J. A., Rother, E. M., Song, S., Francis, G., & Lu, G. (2010). Culturally informed child psychiatric practice. Child and Adolescent Psychic Clinic of North America, 19, 739-757. Pumariega, A. J., Rothe, E., Mian, A., Carlisle, L., Toppelberg, C., Harris, T… (2013). American Psychiatry of Child & Adolescent Psychiatry (AACAP) Committee on Quality Issues (CQI). Journal of the American Academy of Child & Adolescent Psychiatry, 52(10), 1101-1115. Pynoos, R., Rodriguez, N., Steinberg, A., Stuber, M., & Frederick, C. (1998). UCLA PTSD Index for DSM-IV. UCLA Trauma Psychiatry Service. HFinley@mednet.ucla.edu. Ramakrishnan, K. (2008). Evaluation and Treatment of Enuresis. American Family Physician, 78(4), 489-496. Rapee, R. M., Kennedy, S., Ingram, M., Edwards, S., & Sweeney, L. (2005). Prevention and early intervention of anxiety disorders in habited preschool children. Journal of Consulting and Clinical Psychology, 73(3), 488-497. doi: 10.1037/0022-006X.73.3.488. Rapoport, J., Chavez, A., Greenstein, D., Addington, A., & Gogtay, N. (2009). Autism spectrum disorder and childhood-onset schizophrenia: Clinical and biological contributions to a relation revised. Journal of the American Academic of Child and Adolescent Psychiatry, 48 (1), 10-18. doi:10.1097/CHI.obo13818b13. Ray, W. J. (2015. Abnormal psychology. Thousand Oaks, CA: Sage. Reed, G. M. (2010). Toward ICD-11: Improving the clinical utility of WHO’s international classification of mental disorders. Professional Psychology: Research and Practice, 41(6), 457-464. doi:10-1037/a0021701. Reid, A. H., & Ballinger, B. R. (1995). Behaviour symptoms among severely and profoundly mentally retarded patients. A 16-18 year follow-up study. British Journal of Psychiatry, 167(4), 452-5. doi: 10.1192/bjp.167.4.452. Reid, D. H., O’Kane, N. P., & Macurik, K. M. (2011). Staff training and management. In W. W. Fisher, C. C. Piazza, & H. S. Roane (Eds. ), Handbook of applied behavior analysis (pp. 281-294). New York, NY: Guilford Press. Reiner, W. G. (2008). Pharmacotherapy in the management of voiding and storage disorders, including enuresis and encopresis. (2008). Journal of the American Academy of Child and Adolescence Psychiatry, 47(5), 491-498. Reschly, D. J. (1984). Aptitude tests. In G. Goldstein & M. Hersen (Eds. ), Handbook of psychological assessment (pp. 132-156). New York: Pergamon Press. Reynolds, T., Zupanic, S, A., & Dombeck, M. (2013). Tests of Adaptive Functioning. http://www.mentalhelp.net/poc/view_doc.php?type=doc&id=10347&cn=208. Ribbe, D. (1996). Psychometric review of Traumatic Event Screening Instrument for Children (TESI-C). In B. H. Stamm (Ed. ), Measurement of stress, trauma, and adaptation (pp. 386-387). Lutherville, MD: Sidran Press. Rickel, A. U., & Allen, L. (1987). Preventing maladjustment from infancy through adolescence. Newbury Park, CA: Sage Publications. Ringdahl, J. E., & Falcomata, T. S. (2009). Applied behavior analysis and treatment of childhood psychopathology and developmental disabilities. In J. L. Matson, F. Andrasik, & M. L. Matson (Eds. ), treating childhood psychopathology and developmental disabilities (pp. 29-54). New York, N.Y.: Springer. Ringdahl, J. E., Kopelman, T., & Falcomata, T. S. (2009). Applied behavior analysis and its application to autism related disorders. In J. L. Matson (Ed. ), Applied behavior analysis for children with autism spectrum disorders (pp. 15-32). New York, NY: Springer. Risley, T. R., & Hart, B. (1968). Developing correspondence between the non-verbal and verbal behavior of preschool children. Journal of Applied Behavior Analysis, 1, 267-281. Rivera, L. M. (2010). Acculturation. In J. G. Ponterotto, J. M. Casas, L. A. Suzuki, & C. M. Alexander, (Eds. ), Handbook of multicultural counseling (pp. 331-341). Thousand Oaks, CA: Sage. Roane, H. S., Ringdahl, J. E., Kelly, M. E., & Glover, A. C. (2001). Single-case experimental designs. In W. W. Fisher, C. C. Piazza, & H. S. Roane (Eds. ), Handbook of applied behavior analysis (pp. 132-147). New York, NY: Guilford Press. Robin, A. L., & Grange, D. L. (2010). Family therapy for adolescents with anorexia nervosa. In J. R. Weisz & A. E. Kazdin (Eds. ), Evidenced-based psychotherapies for children and adolescents (2nd ed.) (pp.345-358). New York, NY: Guilford Press. Robbins, D. I., Fein, D., Barton, M. I., Green, J. A. (2001). The modified checklist for autism in toddlers: An initial study investigating the early detection of autism and pervasive developmental disorders. Journal of Autism and developmental Disorders, 31(2), 149-151. doi:10.1023/A:1010738829569. Robiner, W. N., Bearman, D. L., Bearman, M., Grove, W. M., Colon, E., Armstrong, J., & Mareck, S. (2002).Prescriptive authority for psychologists: A blooming health hazard? Clinical Psychology: Science and Practice, 9(3), 231-248. doi: 10.1093/clipsy.9.3.231. Robinson, M., Oddy, W. H., Li, J., Kendall, G. E., de Klerk, N. H., Silburn, S. R., Zubrick, S. R., Newman, J. P., Stanley, F. J., & Mattes, E. (2008). Pre- and postnatal influences on preschool mental health: a large scale cohort study. Journal of Child Psychology and Psychiatry, 49(10), 1118-1128. Rodkin, P. C., Espelage, D. L., & Hanish, L. D. (2015). A relational framework for understanding bullying: Developmental antecedents and outcomes. American Psychologist, 70(4), 311-321. doi: 10.1037/a0038658. Rogers, R. (1997) (Ed.). Clinical assessment of malingering and deception. New York, NY: Guilford Publications. Ross, D. M., & Ross, S. A. (1982). Hyperactivity: Current issues, research, and theory (2nd ed.). New York, NY: John Wiley & Sons. Rothe, E. M., & Castellanos, D. (2001). Anxiety disorders in children and adolescents. In H. B. Vance & J. A. Pumariega (Eds. ), Clinical assessment of child & adolescents behavior (pp. 383-412). New York, NY: John Willey & Sons. Rowan-Legg, A. (2011). Managing functional constipation in children. Pediatric Child Health, 16, 661-665. Rusch, F. R., & Keller, K. F. (2006). Mental retardation. In J. E. Fisher & M. T. Donohue ( (Eds. ), Practitioner’s guide to evidence-based psychotherapy (pp. 408-431). New York, NY: Springer. Rush, J. A., First, M. B., & Blacker, D. (2008). Handbook of psychiatric measures. Washington, DC: American Psychiatric Press. Ryzin, M. J. V., Stormashak, E. A., & Dishion, T. J. (2012). Engaging parents in the family check-up in middle School: Longitudinal effects on family conflict and problem behavior through the high school transition. Journal of Adolescent Health, 50(6), 627-633.doi: 10.1016/j.jadohealth.2011.10.255. Sabatino, D. A., Vance, B., & Fuller, G. (2001). Pervasive developmental disorders. In H. B. Vance & A. J. Pumariega (Eds. ), Clinical assessment of children and adolescent behavior: Interfacing assessment and treatment rehabilitation (pp. 188-230). New York, NY: John Wiley & Sons. Saigh, P., Yaski, A. E., Oberfield, R. A., Green, B. L., Halamandaris, P. V., Rubenstein, H., McHugh, M. (2000). The Children's PTSD Inventory: Development and reliability. Journal of Traumatic Stress, 13, 369-380. doi:10.1023/A:1007750021626. Sameroff, A. J. (1995). General systems theories and developmental psychopathology. In D. Cicchetti & D. J. Cohen (Eds. ), Developmental psychopathology (pp. 659-695). New York, NY: John Wiley & Sons. Sandler, A. D., & Bodfish, J. W. (2008). Open-label use of placebos in the treatment of ADHD: A pilot study. Child: Care Health and Development, 34(1), 104-110. doi: 10.1111/j.1365-2214.2007.00797.x. Sandler, A. D., Glesne, C. E., & Bodfish, J. W. (2010). Conditioned placebo dose reduction: A new treatment in attention-deficit hyperactivity disorder? Journal of Developmental and Behavioral Pediatrics, 31(5), 369-375. doi: 10.1097/DBP.0b013e3181e121ed. Sandler, A. D., Sutton, K. A., DeWeese, J., Girardi, A., Sheppard, V., & Bodfish, J. W. (1999). Lack of benefit of single dose of synthetic human secretin in the treatment of autism and pervasive developmental disorder. New England Journal of Medicine, 341(24), 1801-1806. doi:10.1056/NEJM199912093412404. Schalock, R. L., Borthwick-Duffy, S. A., Buntinx, W. H. E., Coulter, D. L., & Craig, E. M. (2009). Intellectual disability: Definition, classification, and systems of supports (11th edition). New York, NY: American Association on Intellectual and Developmental Disabilities. Scheeringa, M. S. (2016). Treating PTSD in preschoolers: A clinical guide. New York, NY: Guilford Press. Schiff, M., & Asato, M. R. (2015). Autism and medical comorbidities. In M. Leboyer & P. Chaste (Eds. ), Autism spectrum disorders: Phenotypes, mechanisms and treatment (pp.20-33). Basel, Switzerland: Karger. Schopler, E., Van Bourgondien, M. E., & Bristo, M. M. (Eds.). (1993). Preschool issues in autism. New York: Plenum Press. Scott, F. J, Baron-Cohen, S, Bolton, P., & Brayne, C. (2002). The Cast (Childhood Asperger Syndrome Test): preliminary development of a UK screen for mainstream primary- school-age children. Autism, 6(1), 9-31. Schreibman, L., Charlop, M. H., & Kurtz, P. F. (1992). Behavioral treatment of children with autism. In S. M. Turner, K. S. Calhoun, & H. E. Adams (Eds. ), Handbook of clinical behavior therapy (pp. 337- 351). New York, NY: Johns Wiley & Sons. Schwartz, S. (1982). Is there a schizophrenic language? The Behavioral and Brain Sciences, 5, 579-626. Seaton, E. (2009). Perceived racial discrimination and racial identity profiles among African American adolescents. Cultural Diversity and Ethnic Minority Psychology, 15(2), 137-144. doi:10.1037/a0015506. Shaffer, D. R. (1985). Developmental psychology. Monterey, CA: Brooks/Cole Publishing Co.
Shattuck, P. T., Durkin, M., Maenner, M., Newschaffer, C., Mandell, D. S., Wiggins, L…Cuniff, C. (2009). Timing of identification among children with an autism spectrum disorder: Findings from a population-based surveillance study. Journal of the American Academy of Child and Adolescent Psychiatry, 48(5), 474-483. doi:10.1097/CHI. Shelby, J. S., & Felix, E. D. (2005). Posttraumatic Play Therapy: The Need for an Integrated Model of Directive and Nondirective Approaches. In L. A. Reddy, L. A., T. M. Files-Hall, C. E. Schaefer (Eds. ), Empirically based play interventions for children (pp. 79-103). Washington, DC: American Psychological Association. Shenoy, R. S. (2010). Community integration, living alternatives, and employment. In R. C. Dryden- Edwards & L. Combrinck-Graham (Eds. ), Developmental disabilities from childhood to adulthood: What works for psychiatrists in community and institutional settings (pp.197-217). Baltimore, MD: Johns Hopkins University Press. Shook, G. L., & Johnston, J. M. (2011). Training and professional certification in applied behavior analysis. In W. W. Fisher & C. C. Piazza (Eds. ), Handbook of Applied Behavior Analysis (pp. 498-510). New York, NY: Guilford Press. Sides, H. (June, 2015). There’s nothing new about cannabis, of course. It’s been around humankind pretty much forever. National Geographic, 227, 38. Retrieved from http://ngm.nationalgeographic.com/2015/06/marijuana/sides-text. Silva, D., Colvin, L., Hagermann, E., & Bower, C. (2014). Environmental Risk Factors by gender associated with attention-deficit/hyperactivity disorder. Pediatrics, 133(1), 1-9. doi: 10.1542/peds.2013-1434. Size, K., & Koegel, R. L. (2006). Ecocultural theory and cultural diversity in intervention programs. In R. L. Koegel & L. K. Koegel (Eds. ), Pivotal response treatments for autism (pp. 117-127). Baltimore, MD: Paul H. Brookes. Skinner, B. F. (1953). Science and human behavior. New York, NY: McMillan. Skopp, N. A., McDonald, R., Jouriles, E. N., & Rosenfield, D. (2007). Partner aggression and children’s externalizing problems: Maternal and partner warmth as protective factors. Journal of Family Psychology, 21(3), 459-467. doi: 10.1037/0893-3200.21.3.459. Smith, B. H., Barkley, R. A., & Shapiro, C. J. (2006). Attention-deficit/hyperactivity disorder. In E. J. Mash & R. A. Barkley (Eds. ), Treatment of childhood disorders (pp. 65-136) (3rd ed.). New York, NY: Guilford Press. Smith, T. (1996). Are other treatments effective? In C. Maurice, G. Green, & S. C. Luce (Eds. ), Behavioral intervention for young children with autism: A manual for parents and professionals (pp. 45-59). Austin, Texas: Pro-ed. Smith, T. (2010). Early and intensive behavioral intervention in autism. In J. R. Weisz & A. E. Kazdin (Eds. ), Evidence-based psychotherapies for children and adolescents (2nd ed., pp. 312-326). New York, NY: Gilford Press. Son, S. E., & Kirchner, J. T. (2000). Depression in Children and Adolescents. American Family Physician, 62(1), 2297-2308. Sparrow, S. S., Cicchetti, V. D., & Balla, A. D. (2005). Vineland adaptive behavior scale. Circle Pines, MN: American Guidance Services. Spock, B., & Rothenberg, M. B. (1985). Dr. Spock's baby and child care. New York: Pocket Books. Spock, B. (2012). (9th ed.). Dr. Spock’s baby and child’s care [Revised by Robert Needlman.] New York, NY: Pocket Books. Spoth, R. L., Redmond, C., & Shin, C. (2001). Randomized trial of brief family interventions for general populations: Adolescent substance use outcomes four years following baseline. Journal of Consulting and Clinical Psychology, 69(4), 627–642. Spoth, R. L., Redmond, D., Trudeau, L., & Shin, C. (2002). Longitudinal substance initiation outcomes for a universal preventive intervention combining family and school programs. Psychology of Addictive Behaviors 16(2), 129-134. doi: 10.1037/0893-164X.16.2.129. Ståhlberg, O., Nilsson, T., & Lundström, S. (2015). Autism spectrum disorder and coexisting mental problems. In M. Leboyer & P. Chaste (Eds. ), Autism spectrum disorders: Phenotypes, mechanisms and treatment (pp. 5-19). Basel, Switzerland: Karger. Standart S., & Le Couteur, A. (2003). The Quiet Child: A Literature Review of Selective Mutism. Child and Adolescent Mental Health, 8(4), 154-160. doi: 10.1111/1475-3588.00065. Stark, K. D., Sander, J., Hauser, M., Simpson, J., Schnoebeler, S., Glenn, R., Molnar, J. Depressive disorders during childhood and adolescence. (2006). In E. J. Mash & R. A. Barkley (Eds. ), treatment of childhood disorders (pp. 336-407) (3rd ed.). New York, NY: Guilford Press. Steinberg, A., Brymer, M. (2008). The UCLA PTSD Reaction Index. In: G. Reyes, J. Elhai, & J. Ford (Eds.) Encyclopedia of Psychological Trauma (pp. 673-674). New York, NY: John Wiley & Sons. Steinberg, A., Brymer, M., Decker, K., Pynoos, R. S. (2004). The UCLA PTSD Reaction Index. Current Psychiatry Reports, 6, 96-100. Stene-Larsen, K., Borge, A. I. H., & Vollrath, M. E. (2009). Maternal smoking in pregnancy and externalizing behavior in 18-month-old children: Results from a population-based prospective study. Journal of the American Academy of Child and Adolescent Psychiatry, 48(3), 283-289.doi: 10.1097/CHI.0b013e318195bcfb. Stiegler, L. N. (2005). Understanding pica behavior. Focus on Autism and Other Developmental Disabilities, 20(1), 27-38. doi: 10.1177/10883576050200010301. Stone, W. L, Coonrod, E. E., & Ousley, O. Y. (2000). Brief report: screening tool for autism in two-year-olds (STAT): development and preliminary data. Journal of Autism and Developmental Disorders, 30(6), 607-612. Stone, W. L., MacLean, W. E., & Hogan, K. L. (1995). Autism and mental retardation. In M. C. Roberts (Ed. ), Handbook of pediatric psychology (2nd ed. ), (pp. 655-675). New York, NY: Guilford Press. Stringaris, A., & Goodman, R. (2009). Longitudinal outcome of youth oppositionality: irritable, headstrong, and hurtful behaviors have distinctive predictions. Journal of the American Academy of Child & Adolescent Psychiatry, 48(4), 404-412. doi: 10.1097/CHI.0b013e3181984f30. Strock, M. (2007). Autism Spectrum Disorders-With addendum January 2007. Bethesda,, MD: National Institute of Mental Health. Substance Abuse and Mental Health Services Administration –SAMHSA (2013). Tips for talking with and helping children and youth cope after a disaster or traumatic event: A guide for parents, caregivers, and teachers. U.S. Department of Health and Human Services. Rockville, MD: HHS Publication No. HHS Publication No. SMA-12-4732. Substance Abuse and Mental Health Services Administration (SAMHSA). (2014). Results from the 2013 National Survey on Drug Use and Health: Summary of National Findings. Rockville, MD: Substance Abuse and Mental Health Services Administration. HHS Publication No. (SMA) 14-4887. NSDUH Series H-49. Substance Abuse and Mental Health Services Administration –SAMHSA (2015). Improving Cultural Competence. Treatment Improvement Protocol (TIP) Series No. 59. HHS Publication No. (SMA) 15-4849. Rockville, MD: Substance Abuse and Mental Health Services Administration. http://store.samhsa.gov/shin/content//SMA14-4849/SMA14-4849.pdf. Sue, D. W., & Sue, D. (2003). Counseling the culturally different: Theory and practice (4th edition). New York, NY: John Wiley & Sons. Sue, S. (1998). In search of cultural competence in psychotherapy and counseling. American Psychologist, 53(4), 440–448. doi: 10.1037//0003-066X.53.4.440. Sue, S. (2003). In defense of cultural competency in psychotherapy and treatment. American Psychologist, 58, 964-970. doi: http://dx.doi.org/10.1037/0003-066X.58.11.964. Suhrheinrich, J., Hall, J., Hall, L. J., Reed, S. R., Stahmer, A. C., & Schreibman, L. (2014) Evidence-based interventions in the classroom. In L. A. Wilkinson (Ed.). Autism spectrum disorder in children and adolescents: Evidence-based assessment and interventions in schools (pp. 151-172). Washington, DC: American Psychological Association. Suglia, S. F., Solnick, S., & Hermenway, D. (2013). Soft drinks consumption is associated with behavior problems in 5-Year-Olds. The Journal of Pediatrics, 163(5), 1323-1328.doi: 10.1016/j.jpeds.2013.06.023. Sulzer-Azaroff, B., & Mayer, G. R. (1977). Applying behavior-analysis procedures with children and youth. New York, NY: Holt, Rinehart and Winston. Sulzer-Azaroff, B., Dyer, K., Dupont, S., & Soucy, D. (2012) (2nd ed.). Applying behavior analysis across the autism spectrum: A field guide for new practitioners. Cornwall-on-Hudson, NY: Sloan Educational Publishing. Sutton, B. J. (1997). Disorders usually first diagnosed in infancy, childhood, and adolescence. In W. H. Reid, G. U. Balis, & B. J. Sutton (Eds. ), The treatment of psychiatric disorders (3rd ed. revised for DSM-IV (pp. 427-480). Bristol, PA: Brunner/Mazel. Sussman, S., Dent, C. W., & Stacy, A. W. (2002). Project toward no drug abuse: A review of the findings and future directions. American Journal of Health Behavior, 26(5), 354–365. Szatmari, P., Bryson, S. E., Streiner, D. L., Wilson, F., Archer, L., & Ryerse, C. (2000). Two-year outcome of preschool children with autism or Asperger’s syndrome. American Journal of Psychiatry, 157 (12), 1980-1987. doi: 10.1176/appi.ajp.157.12.1980. Tackett, J. L., Krueger, R. F., Iacono, W. G., & McGue, M. (2005). Symptom-based subfactors of DSM-defined conduct disorder: Evidence for etiologic distinctions. Journal of Abnormal Psychology, 114(3), 483-487. doi:10.1037/0021-843X.114.3.483. Tadevosyan-Leyfer, O., Dowd, M., Mankoski, R., Winklosky, B., Putnam, S., McGrath, L., Tager-Flusberg, H., & Folstein, S. E. (2003). A principal components analysis of the autism diagnostic interview-revised. Journal of the American Academy of Child and Adolescent Psychiatry, 42(7), 864-872. Taft, L. T. (1993). Medical syndromes in young autistic children. In E. Schopler, M. E. Van Bourgondien, M. M. Bristol (Eds. ), Preschool issues in autism (pp. 175-183). New York, NY: Plenum Press. Thapar, A. (2003). Attention deficit hyperactivity disorder: New genetic findings, new directions. In R. Plomin, J. C., Defries, I. W. Craig, & P. McGuffin (Eds. ), Behavioral genetics in the postgenomic era (pp, 445- 462). Washington, DC: American Psychological Association. Thompson, R. H., & Borrero, J. C. (2011). Direct observation. In W. W. Fisher, C. C. Piazza, & H. S. Roane (Eds. ), Handbook of applied behavior analysis (pp. 191-205). New York, NY: Guilford Press. Thompson, E., Horn, M., Herting, J., & Eggert, L. (1997). Enhancing outcomes in an indicated drug prevention program for high-risk youth. Journal of Drug Education 27(1), 19–41. Turbin, M. S., Jessor, R., Costa, F. M., Dong, Q., Zhang, H., & Wang, C. (2006). Protective and risk factors in health-enhancing behavior among adolescents in China and the United States: Does social context matter? Health Psychology, 25(4), 445-454. doi:10 1037/0278-6133.25.4.445. Turner, S. M., Calhoum, K. S., & Adams, H. E. (1992) (Eds.). Handbook of Clinical Behavior Therapy (2nd ed.). New York, NY: Johns Wiley & Sons. Unger, J. B., Gallaher, P., Shakib, S., Ritt-Olson, A., Palmer, P. H., & Johnson, C. A. (2002). The AHIMSA Acculturation Scale: A New Measure of Acculturation for Adolescents in a Multicultural Society. Journal of Early Adolescence, 22(3) 225-251. doi: 10.1177/02731602022003001. U.S. Department of Education. (2001). Safe, Disciplined, and Drug-Free Schools Programs. Washington, DC: Author. U.S. Department of Health and Human Services (2001). Mental Health: Culture, race, and ethnicity-Supplement to mental health: A report of the Surgeon General. Rockville, MD: Author. U.S. Department of Health and Human Services (1999). Mental Health: A Report of the Surgeon General. Rockville, MD: Author. U.S. Preventive Services Task Force. (2009). Screening and treatment for major depressive disorder in children and adolescents: US preventive task force recommendation statement. Pediatrics, 123(4), 1223-1228.doi:10.1542/peds.2008-2381. U. S. Surgeon General. (2016). The facts on e-cigarette use among youth and young adults. http://e-cigarettes.surgeongeneral.gov/. Utsey, S. O., Standard, P., & Hook, J. N. (2008). Understanding the role of cultural factors in relation to suicide among African Americans. In F. T. L. Leong & M. M. Leach (Eds. ), Suicide among racial and ethnic minority groups (pp. 57-79). New York, NY: Routledge. Van Bourgondien. M. E., Marcus, L. M., & Schopler, E. (1992). Comparison of DSM-III-R and childhood autism rating scale diagnoses of autism. Journal of Autism and Developmental Disorders, 22(4), 493-506. doi:10.1007/BF01046324. van der Wall, M. F., Benninga, M. A., & Hirasing, R. A. (2005). The prevalence of encopresis in a multicultural population. Journal of Pediatric Gastroenterology and Nutrition, 40(3), 345-348. Van Hoecke, E., Baeyens, D., Walle, J. V., Hoecke, P., & Roeyers, H. (2003). Socioeconomic status of a common factor underlying the association between enuresis and psychopathology. Developmental and Behavioral Pediatrics, 24(2), 109-114. Vance, H. B., & McGowen, R. (2001). Learning disorders: Real children, real problems. In H. B. Vance & A. J. Pumariega (Eds. ), Clinical assessment of child and adolescent behavior (pp. 139-169). New York, NY: John Wiley & Sons. Vance, H. B., & Pumariega, J. A. (2001) (Eds. ), Clinical assessment of child and adolescent behavior. New York, NY: John Wiley & Sons. Vance, J. E., Bowen, N. K., Fernandez, G., & Thompson, S. (2002). Risk and protective factors as predictors of outcome in adolescents with psychiatric disorder and aggression. American Journal of Child and Adolescent Psychiatry, 41(1), 36-43. doi:10.1097/00004583-200201000-00009. Vitiello, B., & Towbin, K. (2009). Stimulant treatment of ADHD and risk of sudden death in children. American Journal of Psychiatry, 166(9), 955-957. doi: 10.1176/appi.ajp. Volkmar, F. R. (2000). Medical Problems, Treatments, and Professionals. In M. D. Powers (Ed. ), Children with Autism: A Parent’s Guide, (pp. 73-74). Bethesda, MD: Woodbine House. Volkmar, F. R., & Klin, A. (2000). Diagnostic issues in Asperger syndrome. In A. Klin, F. R.Volkmar, & S. S. Sparrow (Eds. ), Asperger syndrome (pp. 25-71). New York, NY: Guilford Press. Volkmar, F, Siegel, M., Woodbury-Smith, M., King, B., McCracken, J., State, M., & the American Academy of Child and Adolescent Psychiatry (AACP) Committee on Quality Issues (CQ). (2014). Practice parameter for the assessment and treatment of children and adolescents with autism spectrum disorder. Journal of the American Academy of Child and Adolescents Psychiatry, 53(2), 237-257. doi:10.1016/j.jaac.2013.10.013. Volkmar, F. R., & Wiesner, L. A. (2009). A practical guide to autism: What every parent, family member, and teacher needs to know. New York, NY: Wiley. Vollmer, T. R., & Athens, E. (2011). Developing function-based extinction procedures for problem behavior. In W. W. Fisher, C. C. Piazza, & H. S. Roane (Eds. ), Handbook of applied behavior analysis (pp. 317-334). New York, NY: Guilford Press. Wagner, K. D. (February 8, 2012). Suicidal behavior in children and adolescents Psychiatric Times. http://www.psychiatrictimes.com/articles/suicidal-behavior-children-and-adolescents. Waldron, H. B., & Brody, J. L. (2010). Functional family therapy for adolescent substance use disorders. In J. R. Weisz & A. E. Kazdin (Eds. ), Evidenced-based psychotherapies for children and adolescents (2nd ed.) (pp. 401-415). New York, NY: Guilford Press. Walker, C. E. (1995) (2nd ed.). Elimination disorders: Enuresis and encopresis. In M. C. Roberts (Ed. ), Handbook of pediatric psychology (pp. 537-557). New York: The Guilford Press. Walker, D., Stephens, R., Roffman, R., DeMarce, J., Lozano, B., Towe, S., & Berg, B. (2011). Randomized control trial of motivational enhancement therapy with nontreatment-seeking adolescent cannabis users: A further test of the teen marijuana check-up. Psychology of Addictive Behaviors, 25(3), 474-484.doi: 10.1037/a0024076. Walkup J. T., Albano, A. M., Piacentini, J., Birmaher, B., Compton, S. N., Sherrill, J. T., Kendall, P. C. (2008).Cognitive behavior therapy, sertraline, or combination in childhood anxiety. New England Journal of Medicine, 359(26), 2753-2766. Doi: 10.1056/NEJMoa0804633. Walton, K. M., & Ingersoll, B. R. (2012). Sibling-mediated social interaction intervention for young children with autism. Journal of Positive Behavior Interventions, 14 (4). http://www.ncbi.nlm.nih.gov/pmc/articles/PM856875/. Wang, Ming-Te, & Kenny, S. (2014). Longitudinal links between fathers’ and mothers’ harsh verbal discipline and adolescents’ conduct problems and depressive symptoms. Child Development, 85(3), 908-923. DOI: 10.1111/cdev.12143. Warne, R. T., Yoon, M., & Price, C. J. (2014). Exploring the various interpretations of “test bias.” Cultural Diversity and Ethnic Minority Psychology, 20(4), 570-582. Weersing, V. R., & Brent, D. A. (2010). Treating depression in adolescents using individual cognitive-behavioral therapy. In J. R. Weisz & A. E. Kazdin (Eds. ), Evidence-based psychotherapies for children and adolescents (2nd ed., pp. 126-139). New York, NY: Gilford Press. Weir, K. (2016, December). Research on suicide overlooks young children; psychologists are working to change that. Monitor on Psychology, pp. 29-31. Weiss, M. J., Fiske, K., & Ferraioli, S. (2009). Treatment of autism spectrum disorder. In J. L. Matson, F. Andrasik, & M. L. Matson (Eds. ), Treating childhood psychopathology and developmental disabilities (pp. 287-332). New York, NY: Springer. Weisz, J. R, & Kazdin, A. E. (2010). Introduction: Context, background, and goals. In J. R. Weisz & A. E. Kazdin (Eds. ), Evidence-based psychotherapies for children and adolescents (2ndd ed.) (pp. 3-9). New York, NY: Guilford Press. White, K., Clayton, R., & Arndt, S. (2009). Culturally competent substance abuse treatment project: Annual report. (Iowa Department of Public Health contract #5889CP43). Iowa City, IA: Iowa Consortium for Substance Abuse Research and Evaluation. http://iconsortium.substabuse.uiowa.edu. Whitman, T. L., & Johnston, M. B. (1987). Mental retardation. In M. Hersen & Vincent B. Van Hasselt (Eds. ), Behavior therapy with children and adolescents: A clinical approach (pp. 184-223). New York, NY: John Wiley & Sons. Whitman, T. L., Scibak, J. W., & Reid, D. H. (1983). Behavior modification with severely and profoundly retarded: Research and application. New York: Academic Press. Widerstrom, A. H., Mowder, B. A., & Sandall, S. R. (1991). At risk and handicapped newborns and infants: Development, assessment, and intervention. Englewood Cliffs, NJ: Prentice-Hall. Wilkins, J., & Matson, J. L. (2009). History of treatment in children with developmental disabilities and psychopathology. In J. L. Matson, F. Andrasik, & M. L. Matson (Eds. ), Treating childhood psychopathology and developmental disabilities (pp. 3-28). New York, NY: Springer. Wilkinson, L. A. (2014) (Ed.). Autism spectrum disorder in children and adolescents: Evidence-based assessment and interventions in schools. Washington, DC: American Psychological Association. Willcutt, E. G., Defries, J. C., Pennington, B. F., Smith, S. D., Cardon, L. R., & Olson, R. K. (2003). Genetic etiology of comorbid reading difficulties and ADHD. In R. Plomin, J. C., Defries, I. W. Craig, & P. McGuffin, E. G., DeFries, J. C., Pennington, B. F., Smith, S. D., Cardon, L. R., & Olson, R. K (Eds. ), Behavioral genetics in the postgenomic era, (pp, 227-246). Washington, DC: American Psychological Association. Williams, D. E., Kirkpatrick-Sanchez, S., Enzinna, C., Dunn, J., & Borden-Karasack, D. (2009). The clinical management and prevention of pica: A retrospective follow-up of 41 individuals with intellectual disabilities and pica. Journal of Applied Research in Intellectual Disabilities, 22(2), 210–215 doi: 10.1111/j.1468-3148.2008.00490.x. Winerman, L. (2017, February). Suicide risk. Monitor on Psychology, p. 12. Winerman, L. (2017, March). The cost of treatment: Depression ranks among the most costly health conditions in the United States. Monitor on Psychology, p. 80. Wolfe, V. V., Gentile, C., Michienzi, T., Sas, L., Wolfe, D. A. (1991). The Children's Impact of Traumatic Events Scale: a measure of post-sexual abuse PTSD symptoms. Behavioral Assessment, 13, 359–383. World Health Organization (2016a). International classification of diseases. Geneva, Switzerland: Author. http://www.who.int/classifications/icd/en/. World Health Organization (2016b). International Statistical Classification of Diseases and Related Health Problems-ICD-10: Version 2016. Retrieved from http:// apps.who.int/classifications/icd10/browse/2016/en. Zachor, D., Hogens, B., & Patterson, C. (2009). Treatment of attention-deficit/hyperactivity disorder (ADHD). In J. L. Matson, F. Andrasik, & M. L. Matson (Eds. ), Treating childhood psychopathology and developmental disabilities (pp. 139-181). New York, NY: Springer. Zane, N., Bernal, G., & Leong, F. T. L. (2016) (Eds.). Evidence-based psychological practice with ethnic minorities: Culturally informed research and clinical strategies. Washington, DC: American Psychological Association. Zental, S. S. (1985). A context for hyperactivity. In K. D. Gadows (Ed. ), Advances in learning and behavioral disabilities (pp. 273-343). Greenwich, Connecticut: Jai Press. Zisser, A., & Eyberg, S. M. (2010). Parent-child interaction therapy and the treatment of disruptive behavior disorders. In J. R. Weisz & A. E. Kazdin (Eds. ), Evidence-based psychotherapies for children and adolescents (2nd ed., pp. 179-193). New York, NY: Gilford Press. Zoonen, K. V., Buntrock, C., Elbert, D., Smit, F., Reynolds, C. F., Beekman, A. T. F., & Cuijpers, P. (2014). Preventing the onset of major depressive disorder: A meta-analytic review of psychological interventions. International Journal of Epidemiology, 43(2), 318-329. doi:10.1093/ije/dyt175. Primary Audience: Parents seeking the right mental health provider or practitioner for their child or adolescents diagnosed with an emotional disability or mental disorder. 2) Resident in child and adolescent psychiatry programs.